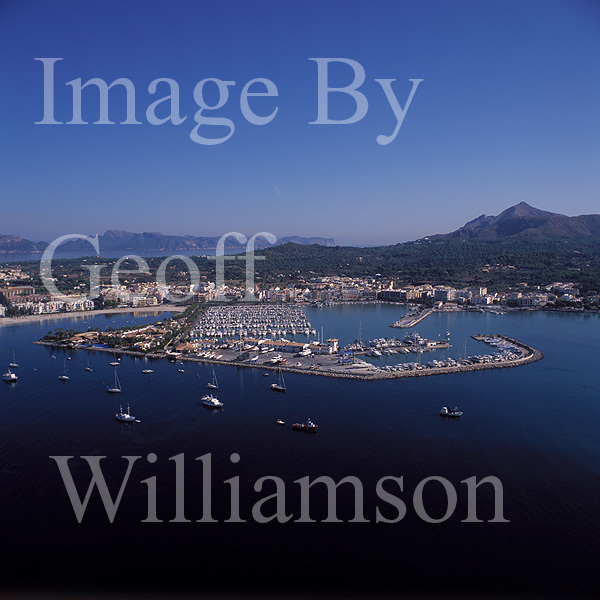 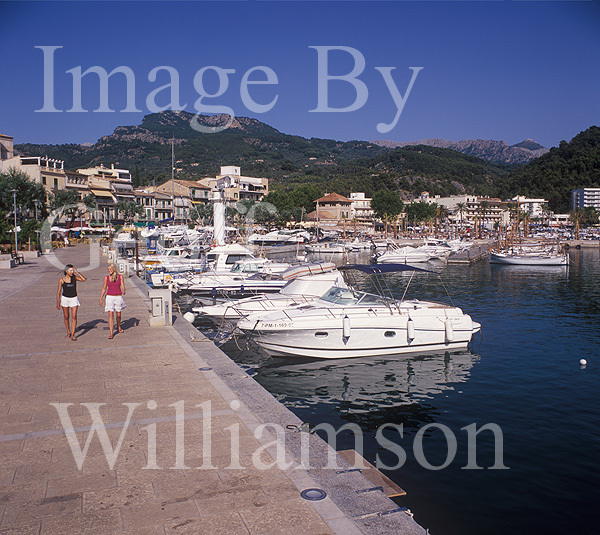 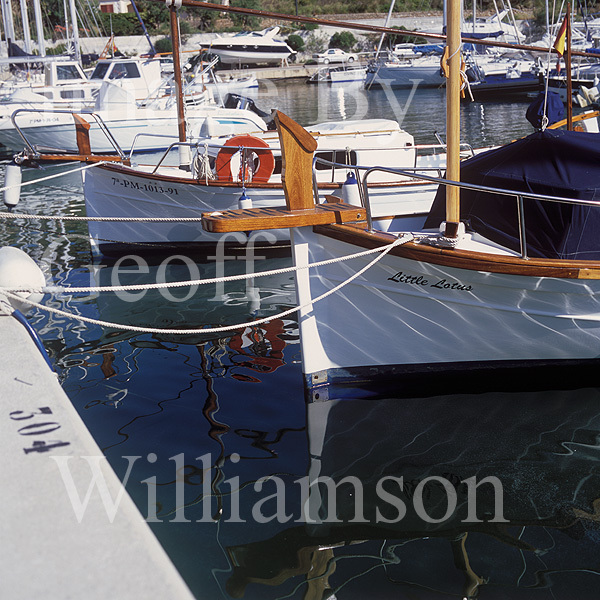 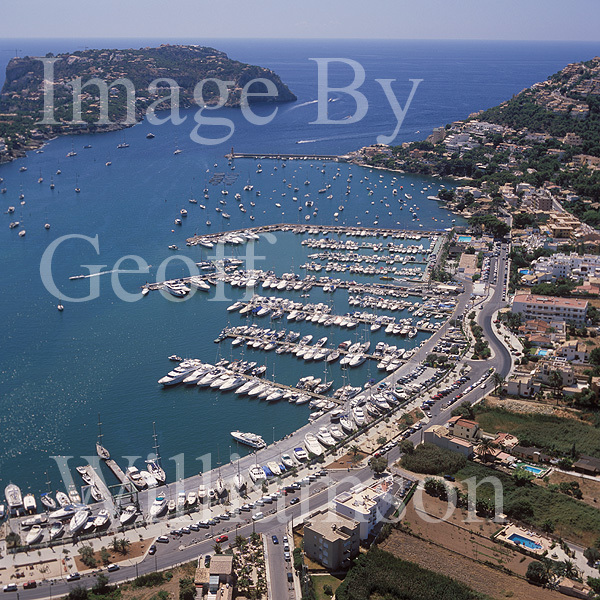 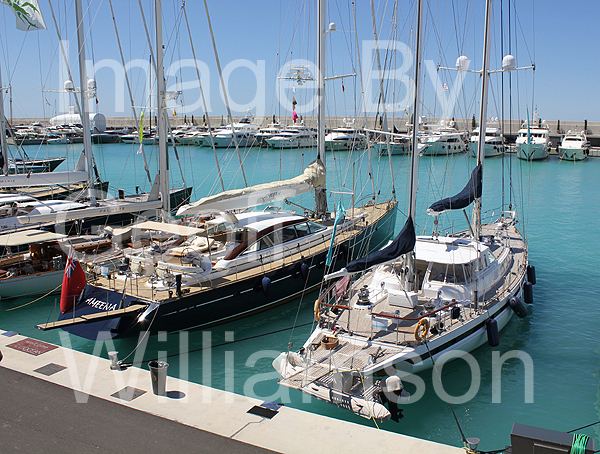 Images, descriptions and contact details of Marinas of Mallorca. 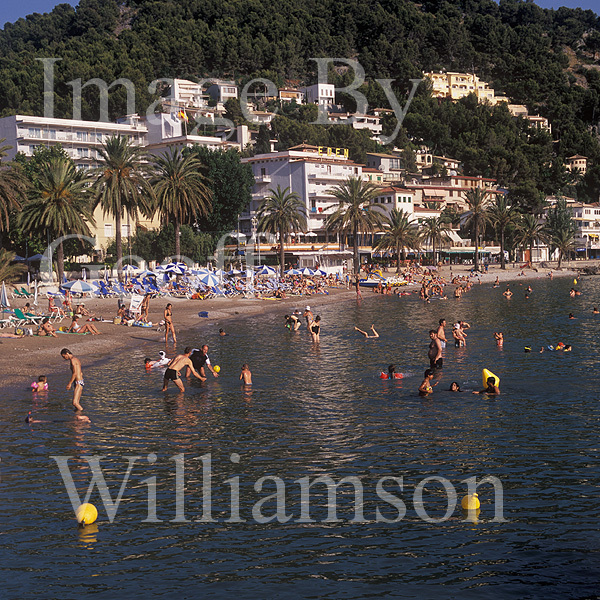 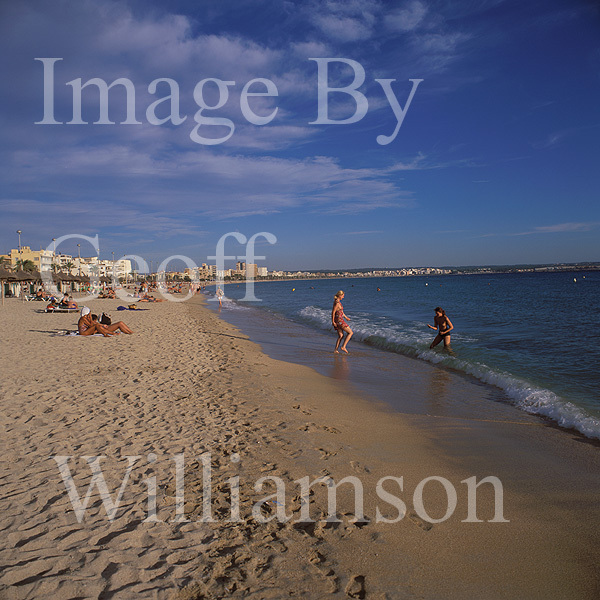 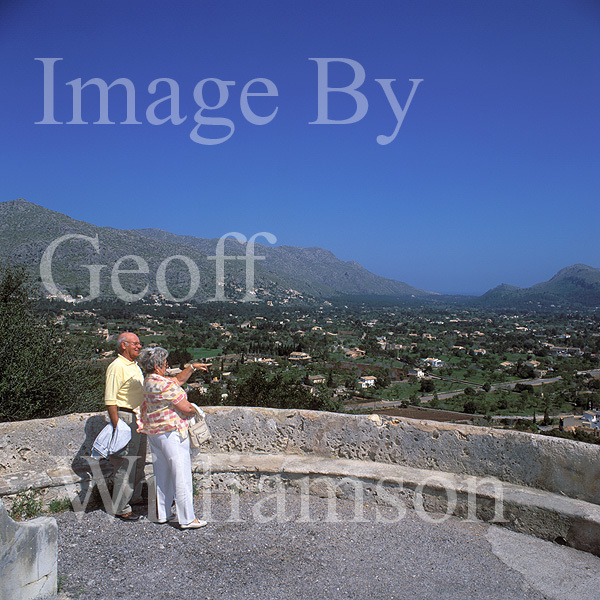 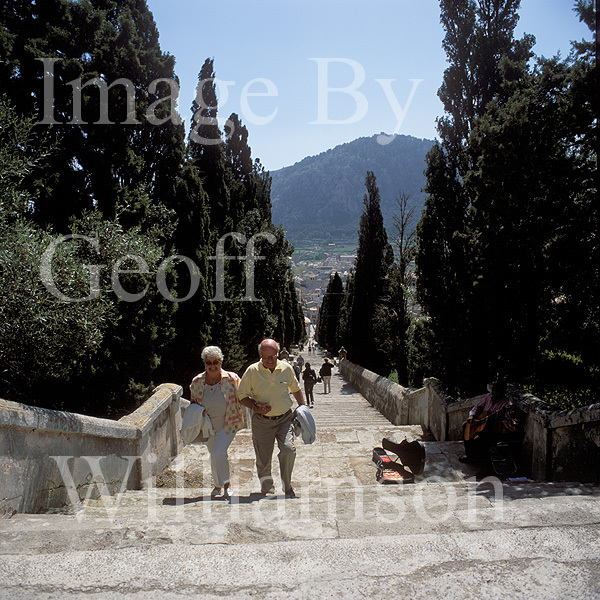 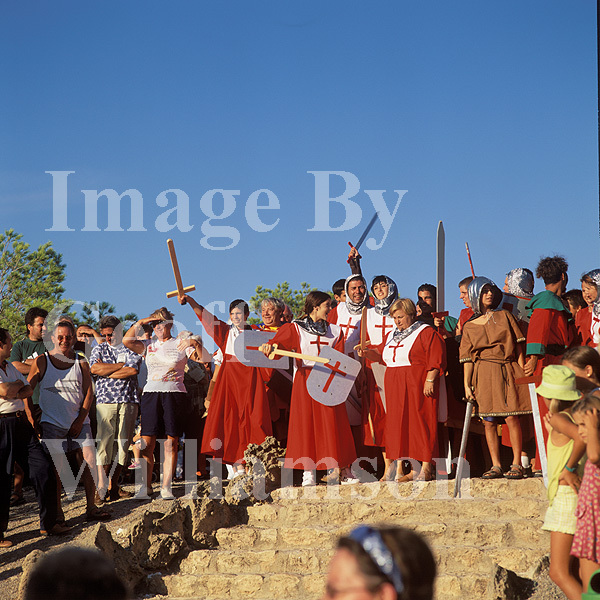 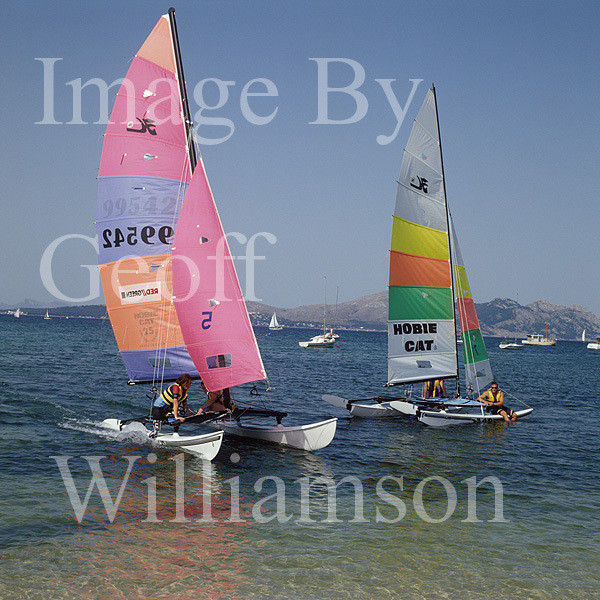 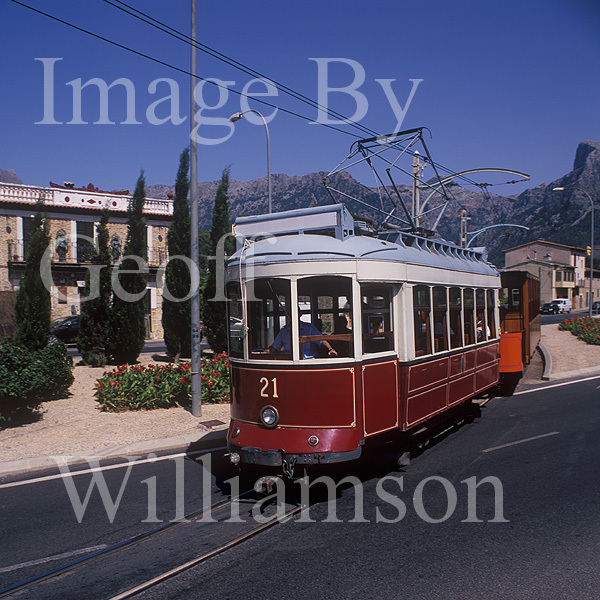 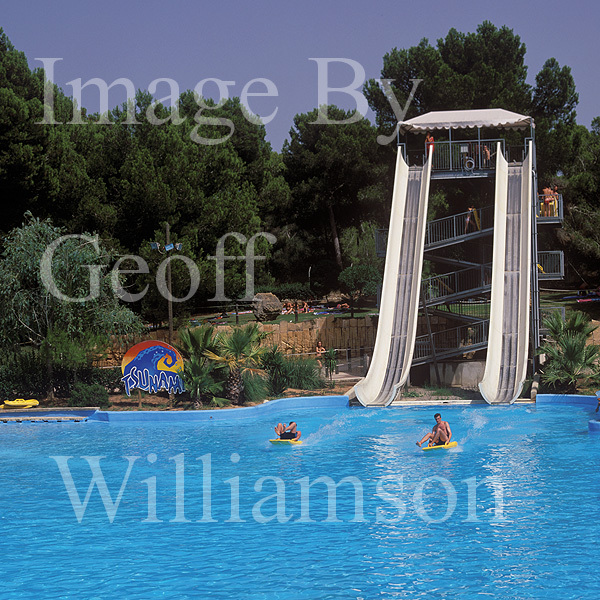 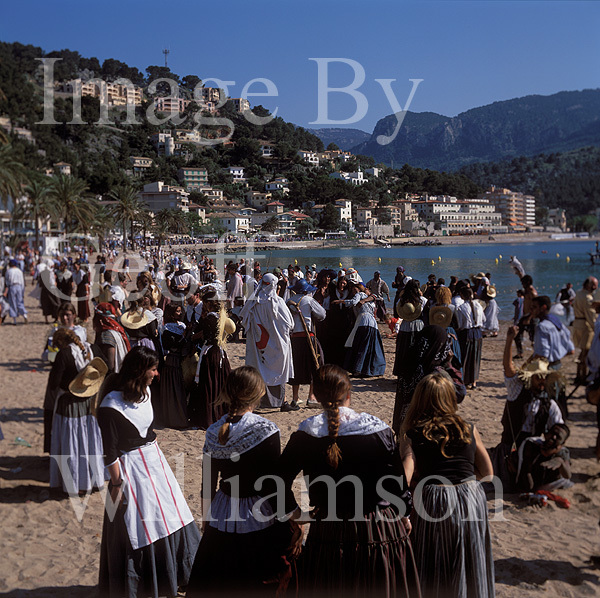 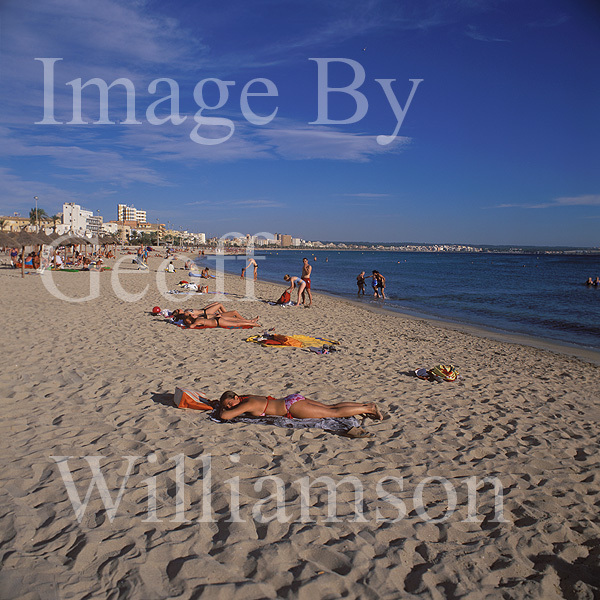 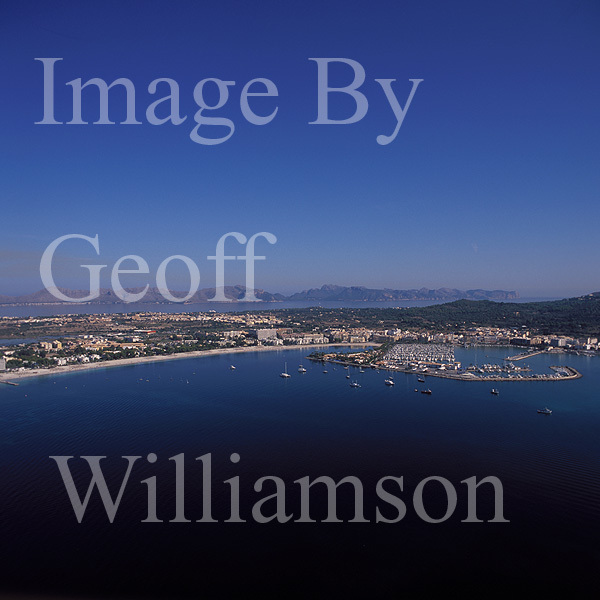 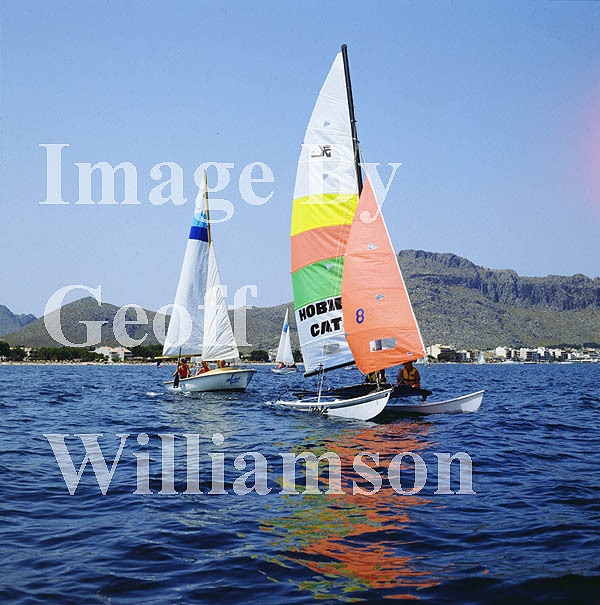 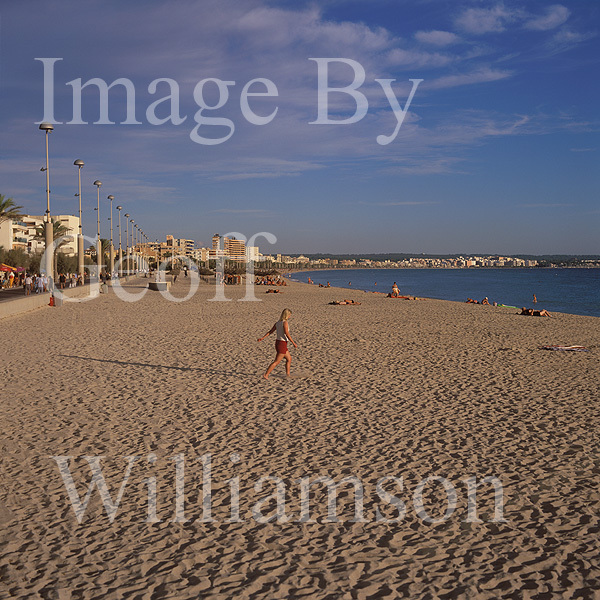 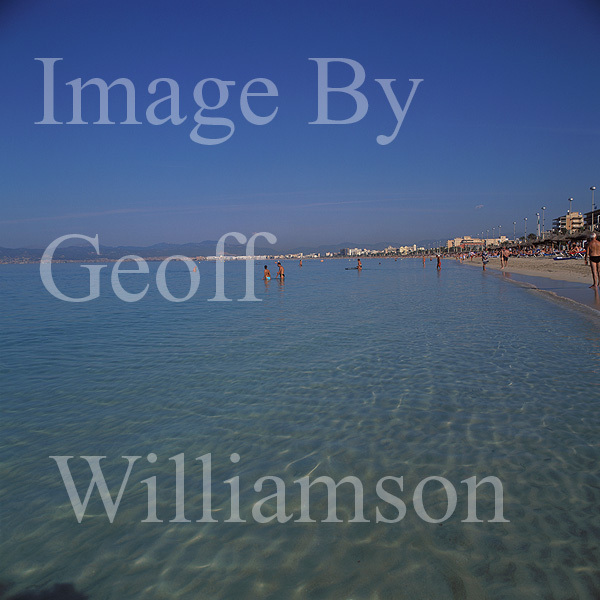 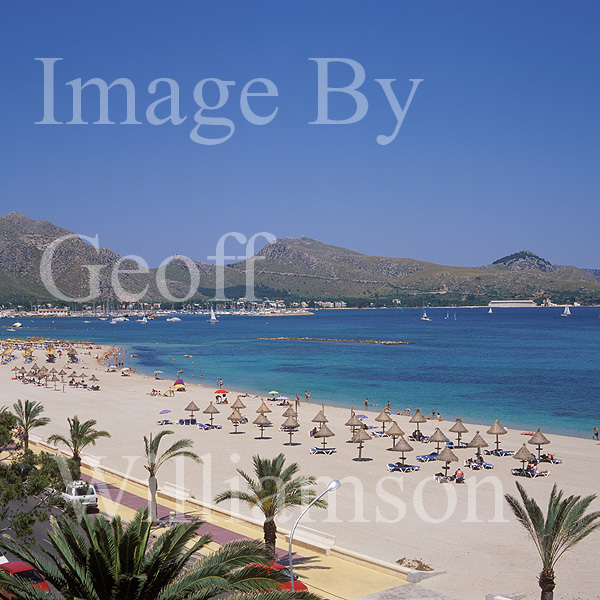 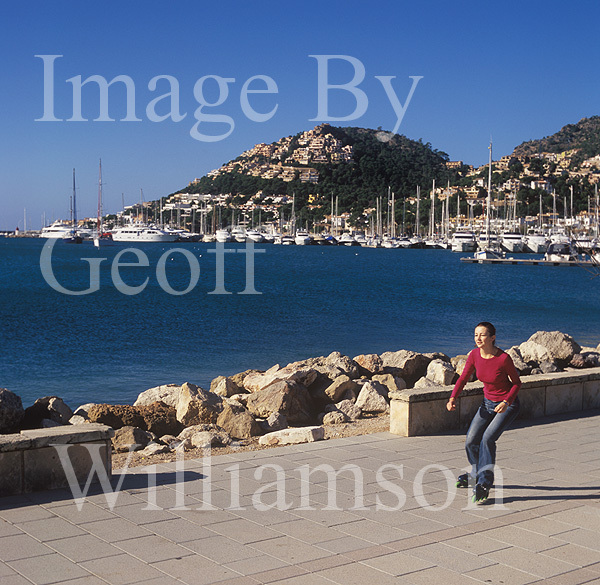 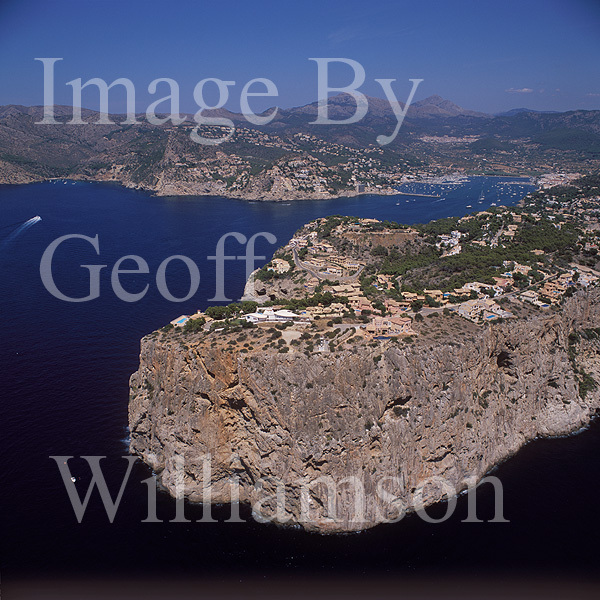 - proceed down page to view clockwise from Formentor headland or Click Here. 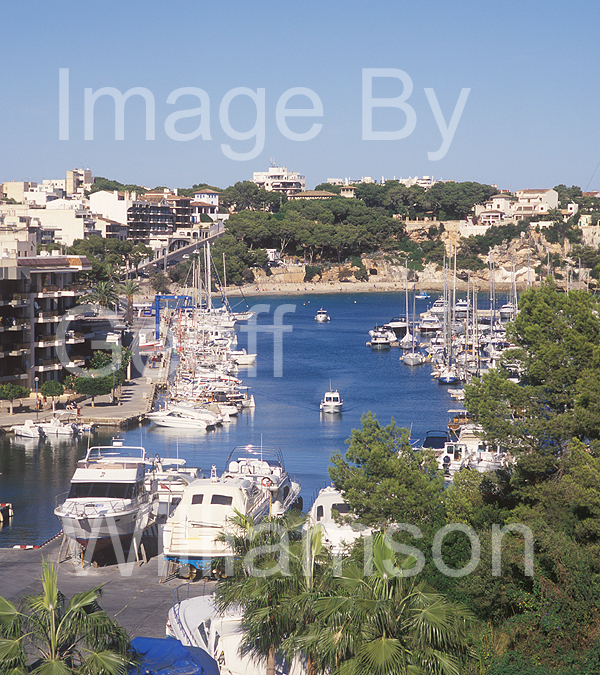 - or click on specific marina below. 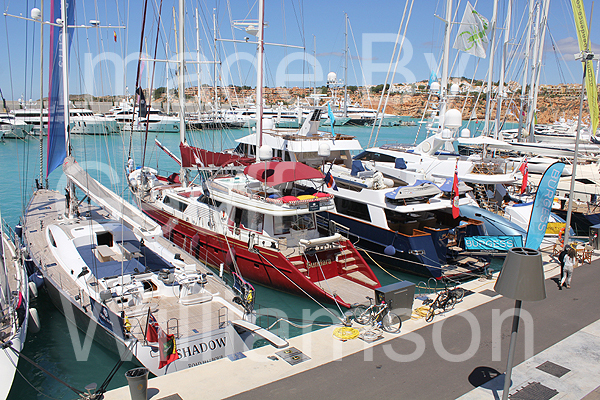 Marinas with Blue Flag status are indicated by BF. 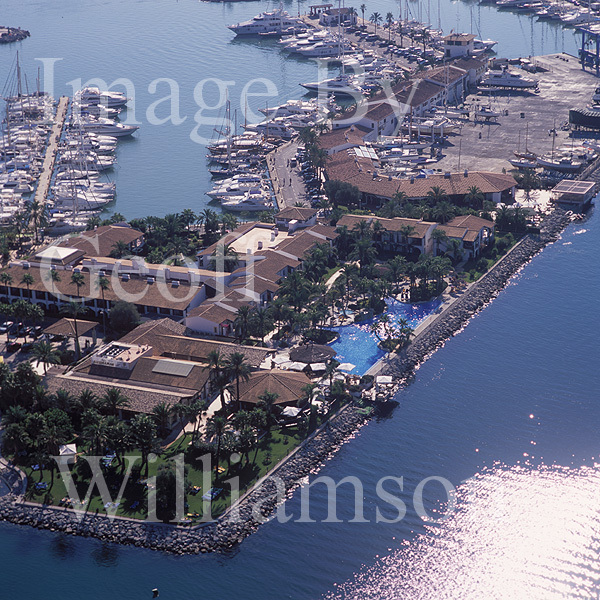 Puerto de Bonaire Marina / Port del Cocodrilo. 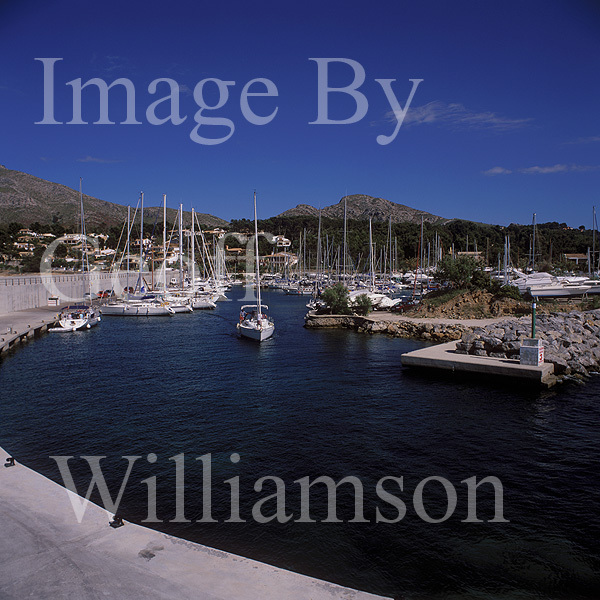 Can Picafort Port / Marina. 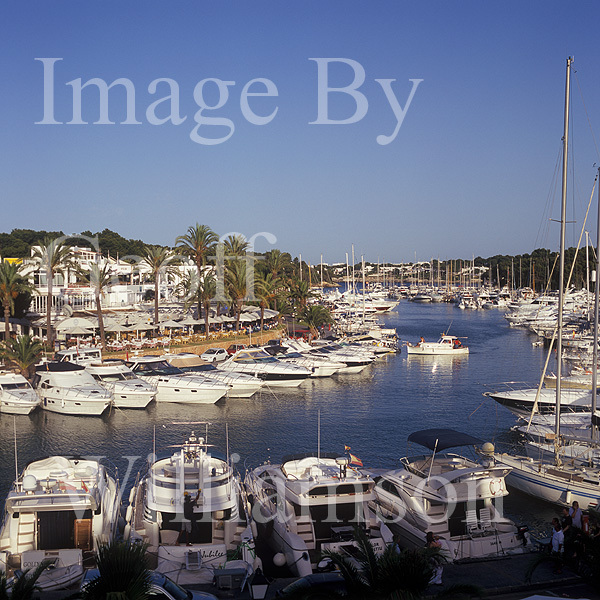 Club Nautico Santa Ponça / Santa Ponsa Marina. 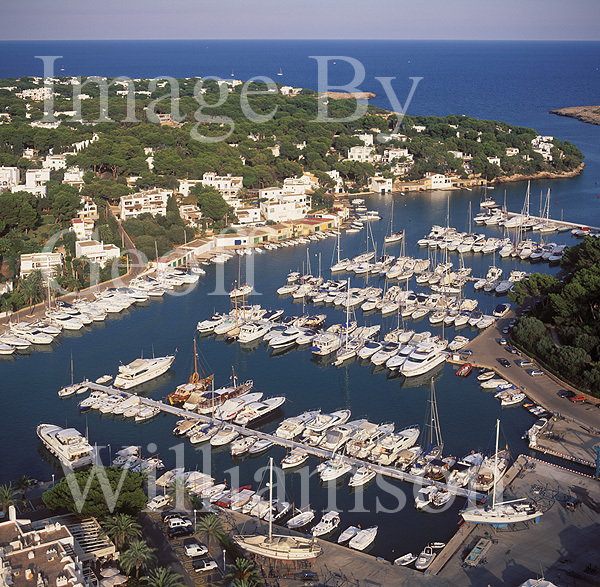 Club de Vela Puerto Andratx / Puerto Andraitx. 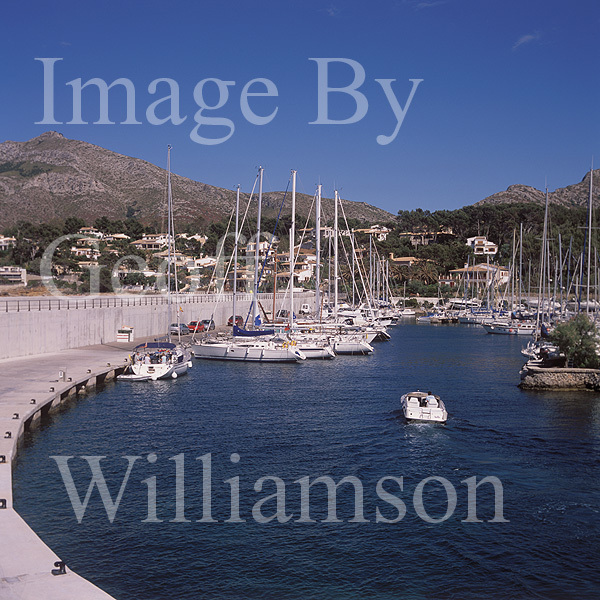 Port of Pollenca / Real Club Nautico. 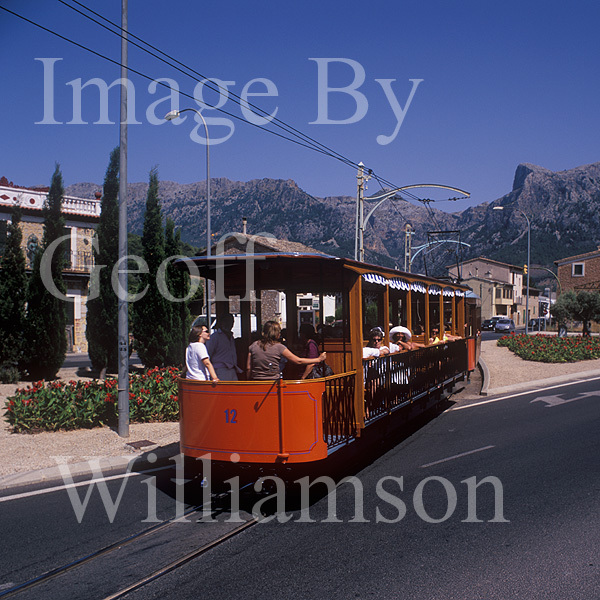 Images in and around Puerto Pollensa and nearby Pollensa Old Town - the latter with historic Roman Bridge. 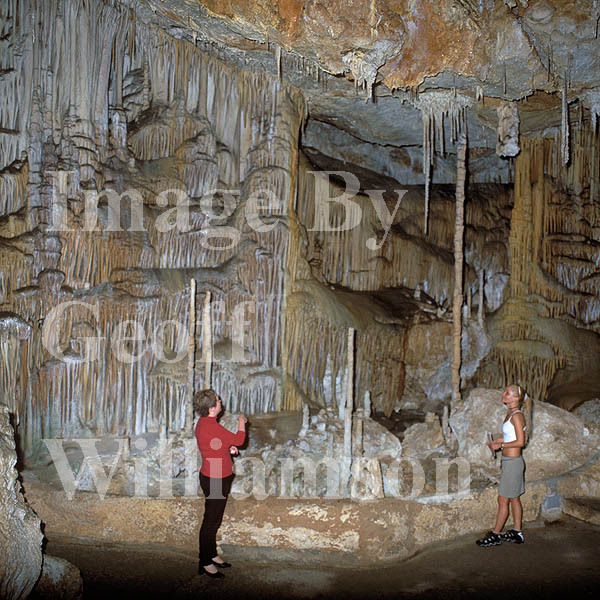 Nearby caves. 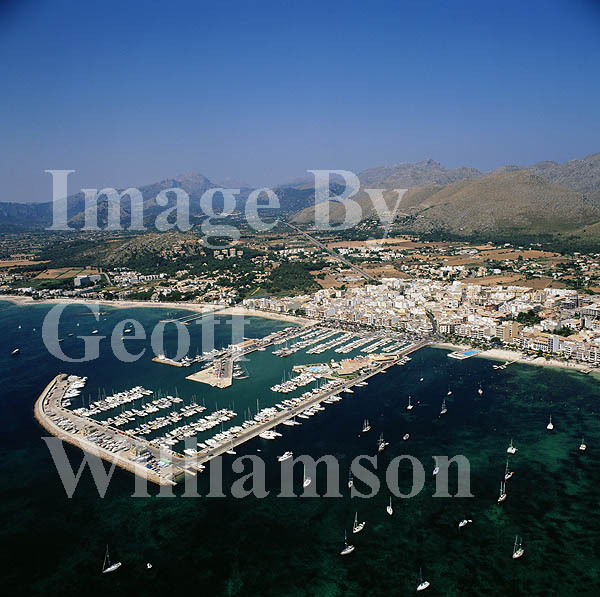 Real club Nautica de Puerto Pollensa. 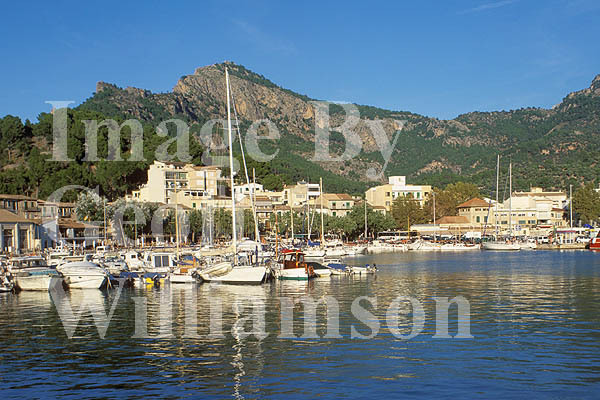 Located on the North coast of Peninsular Victoria near Alcudia - small charming marina with good access to sailing in the Bay of Pollensa. 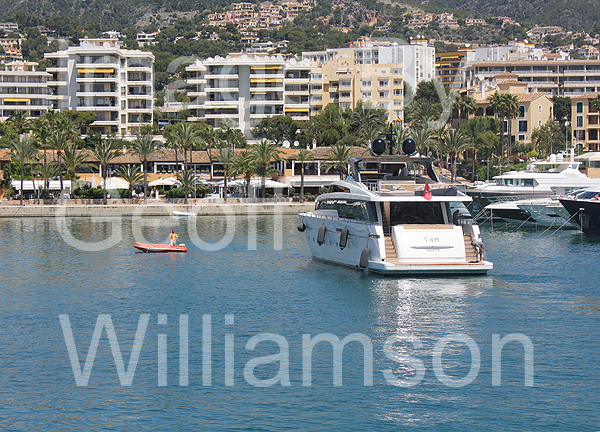 Excellent marine facilities plus bars, restaurants and a hotel. 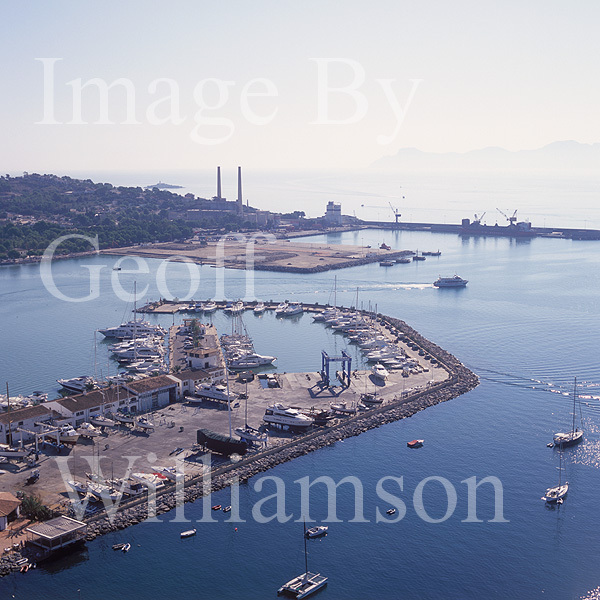 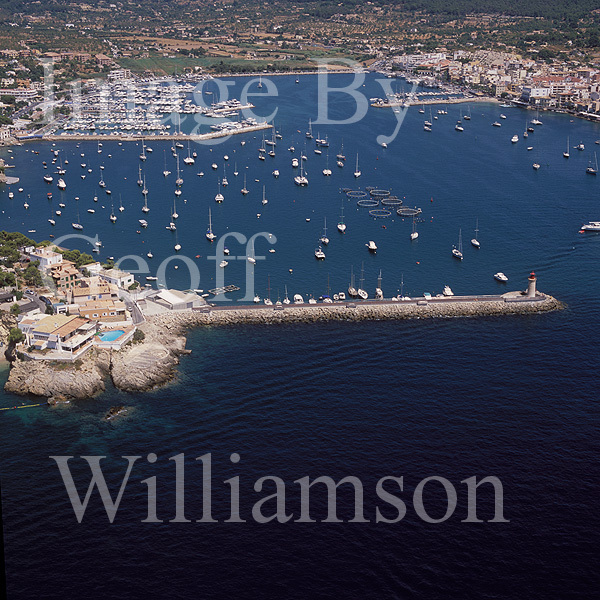 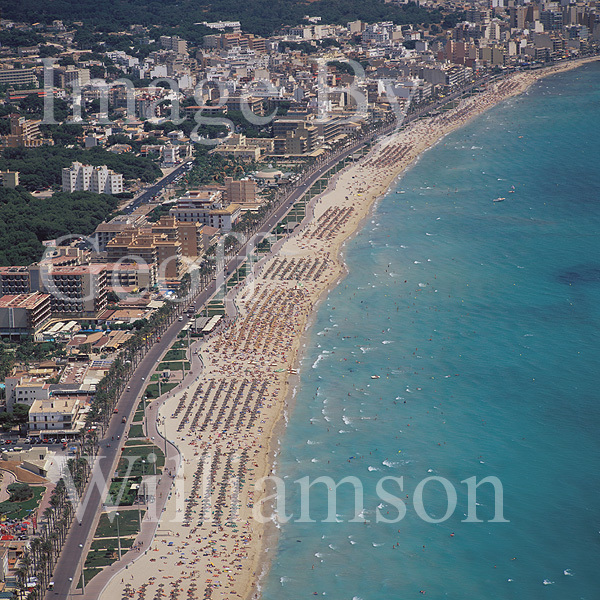 Aerial images of Can Picafort and small port / marina towards Son Baulo in RHS image. 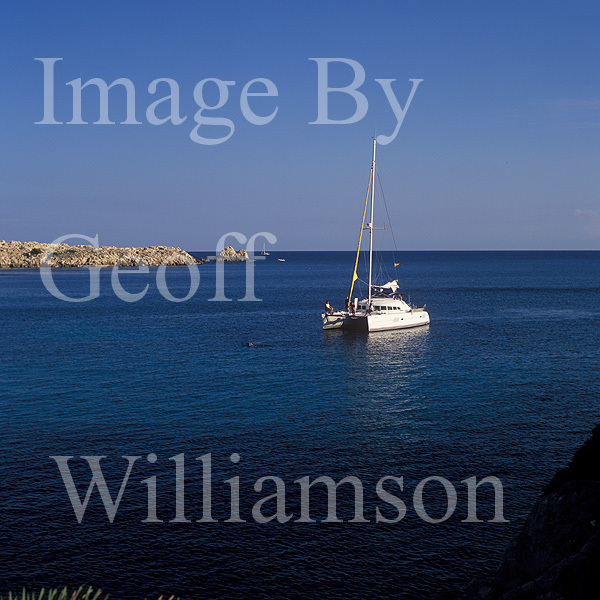 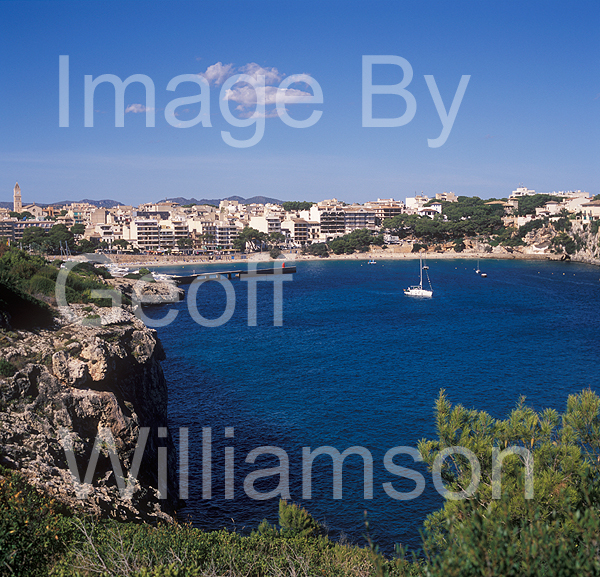 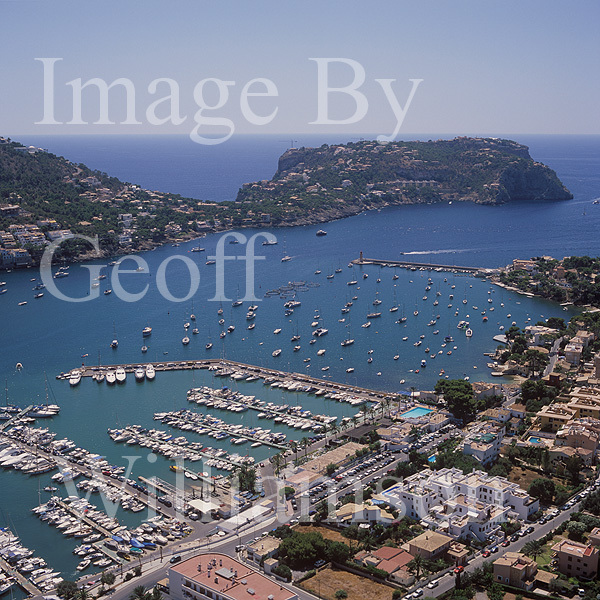 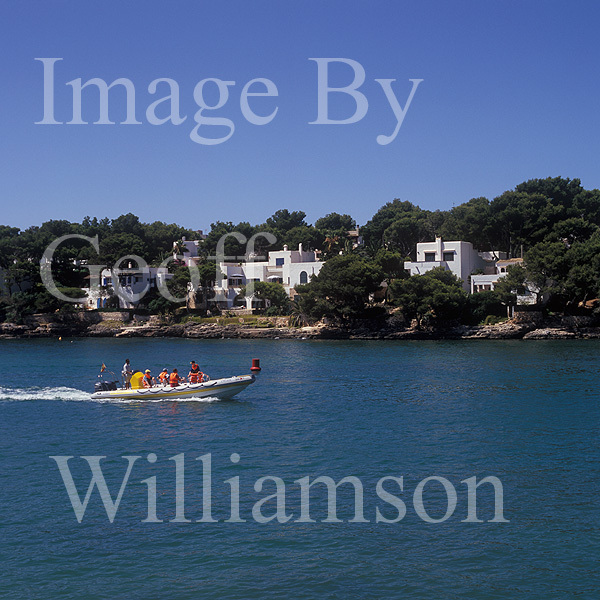 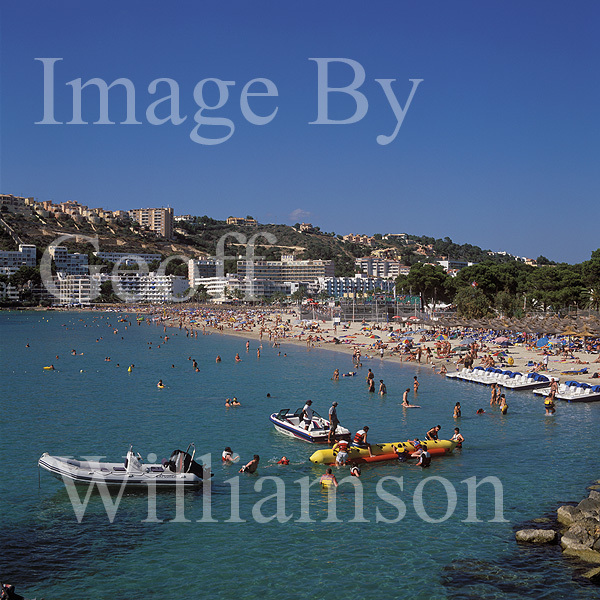 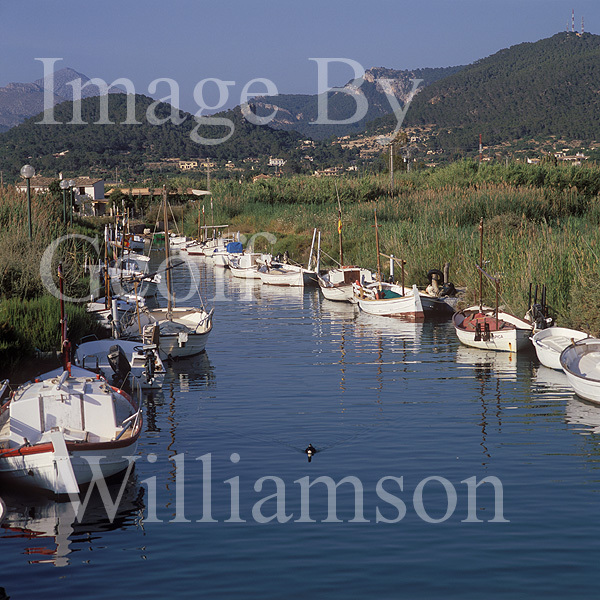 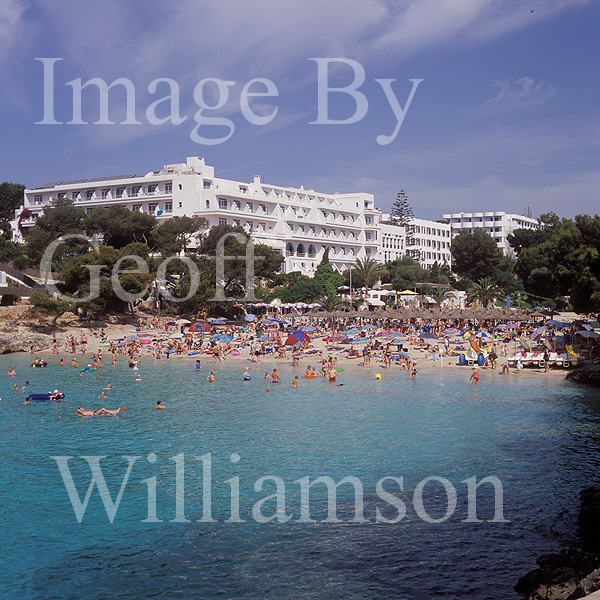 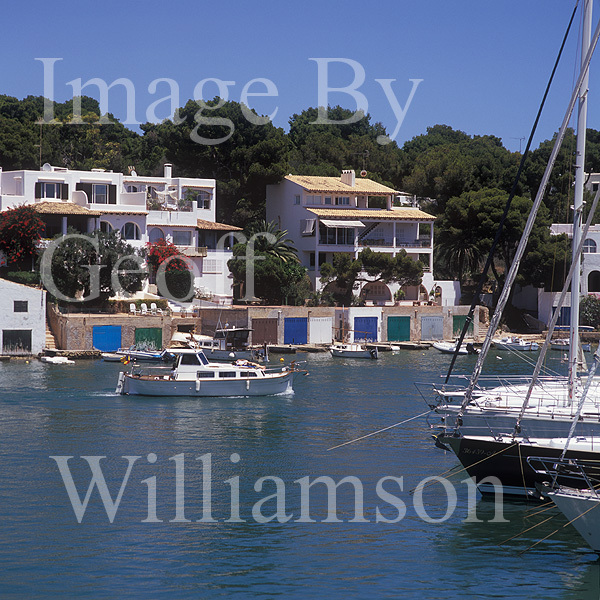 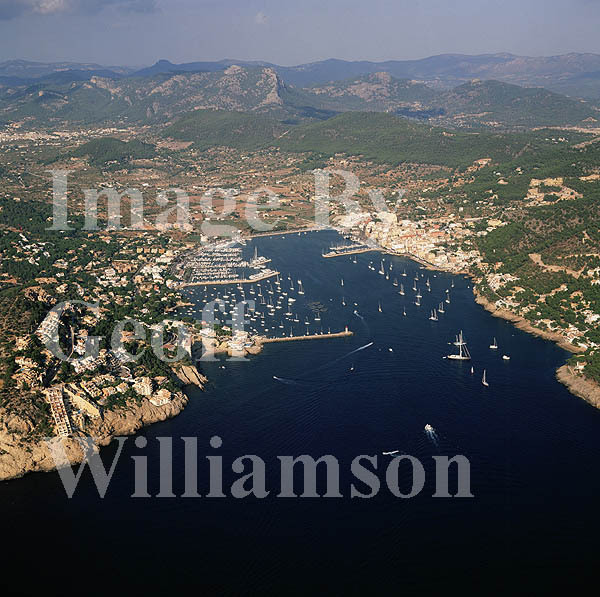 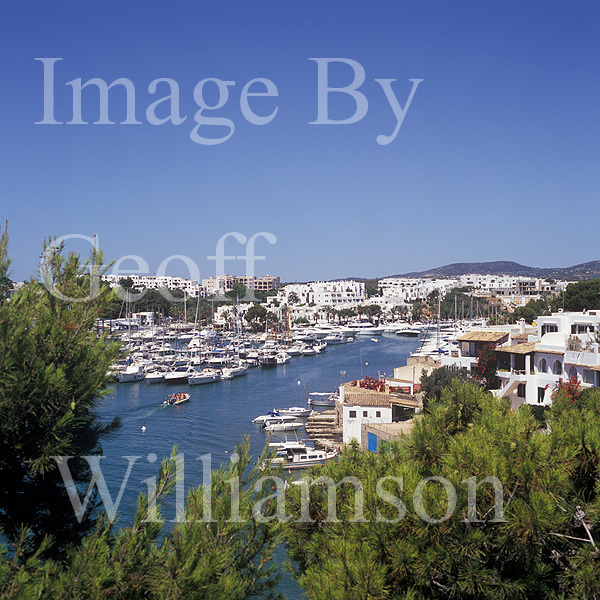 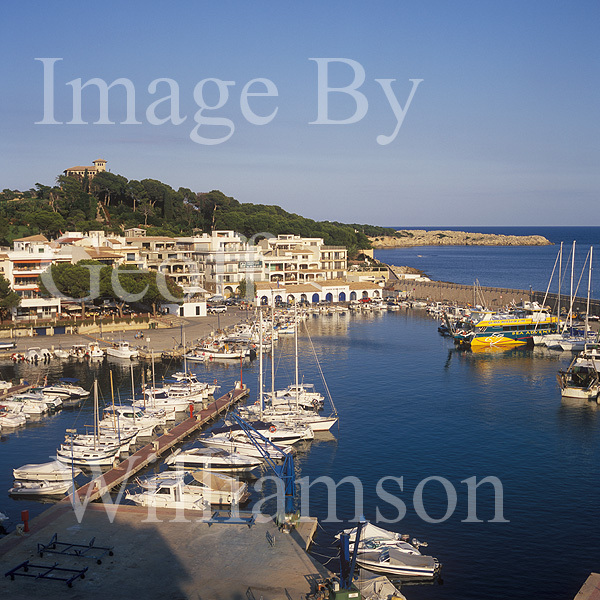 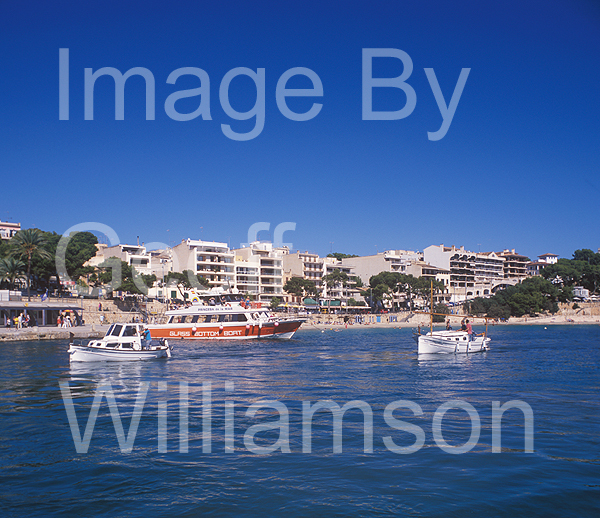 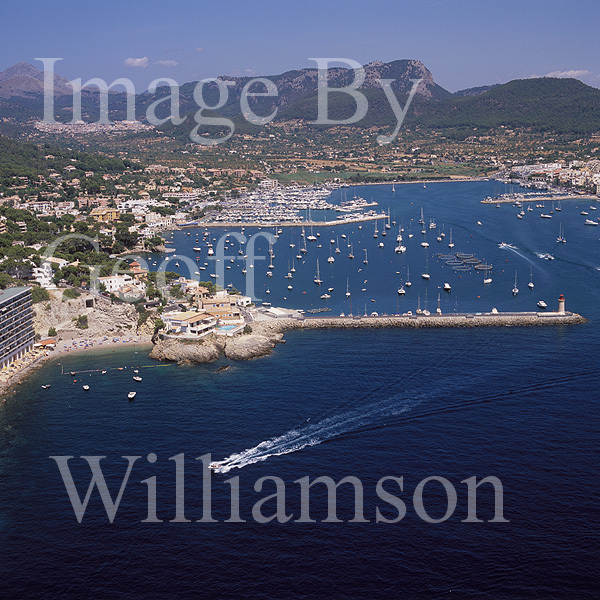 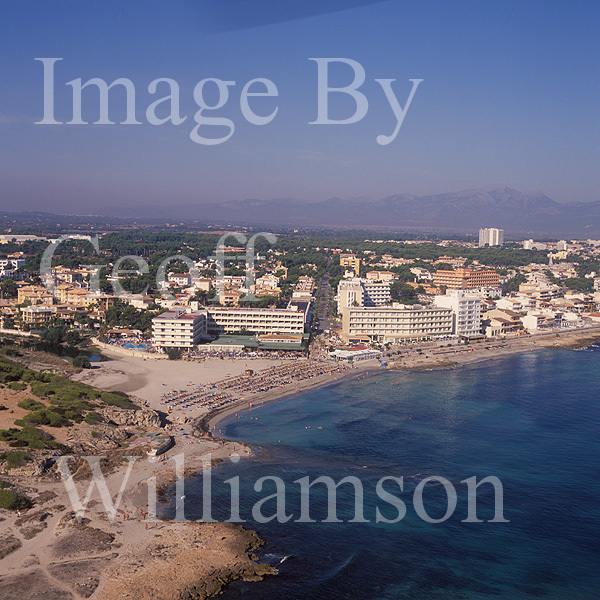 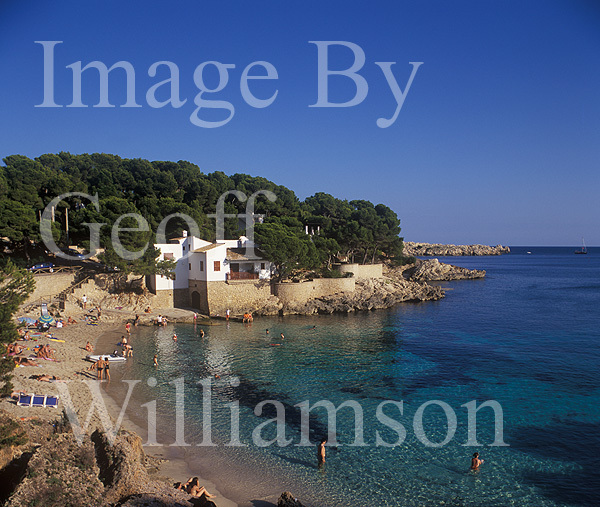 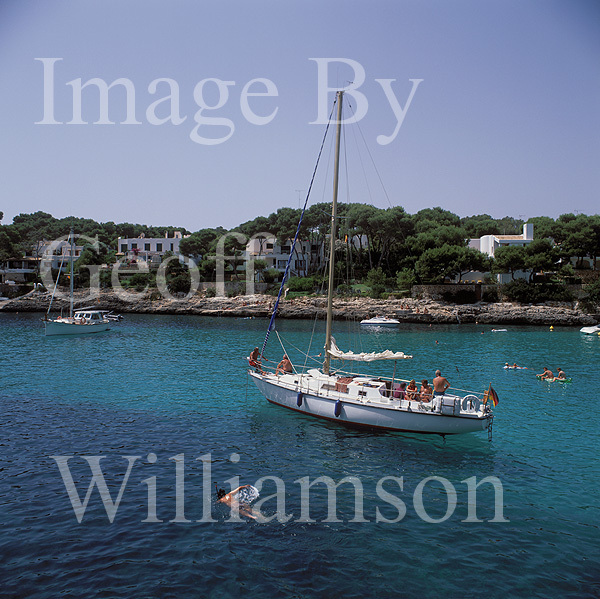 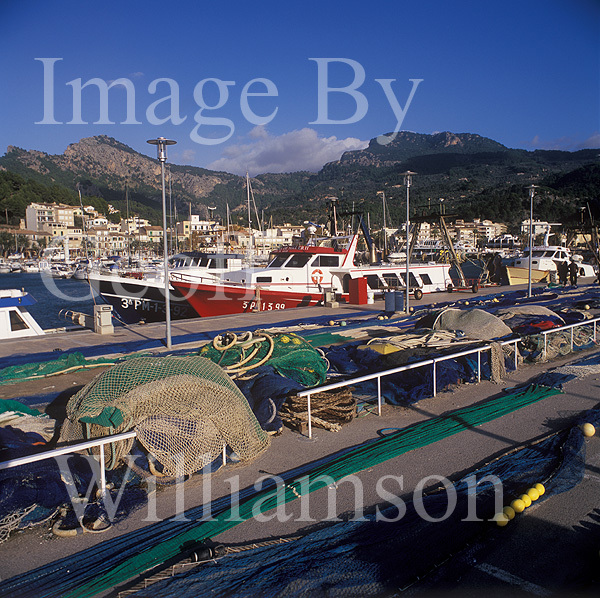 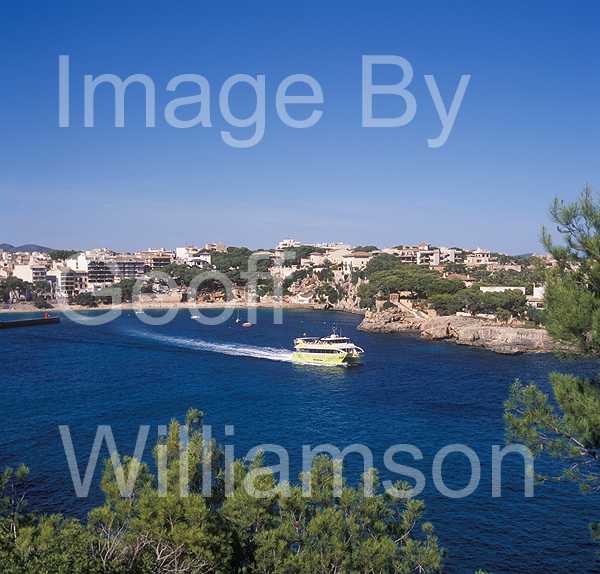 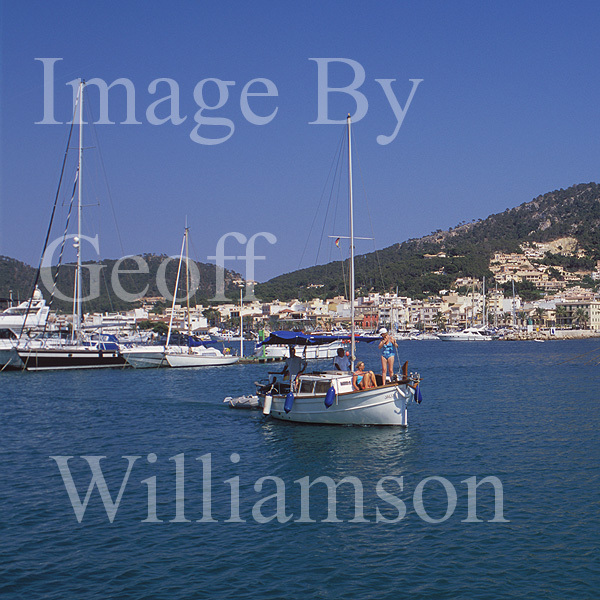 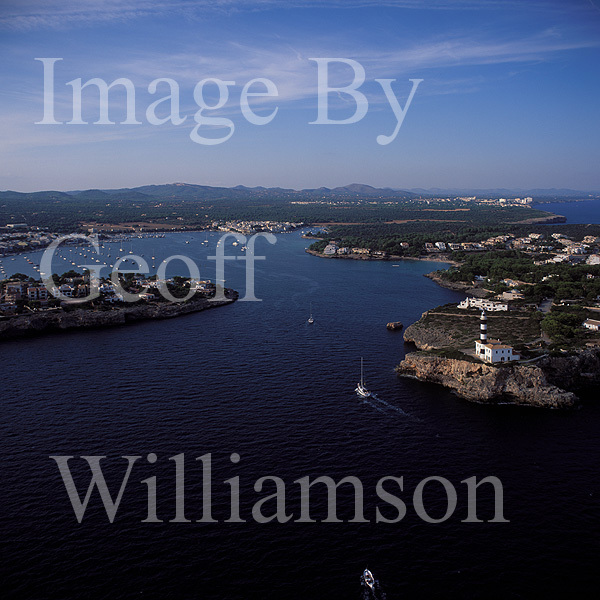 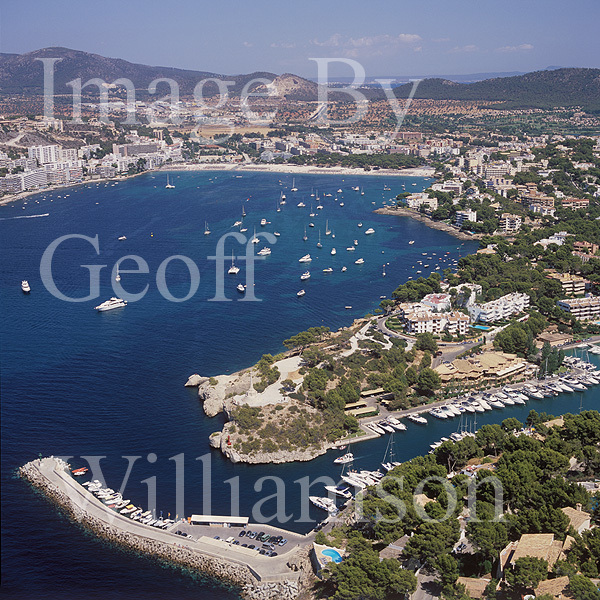 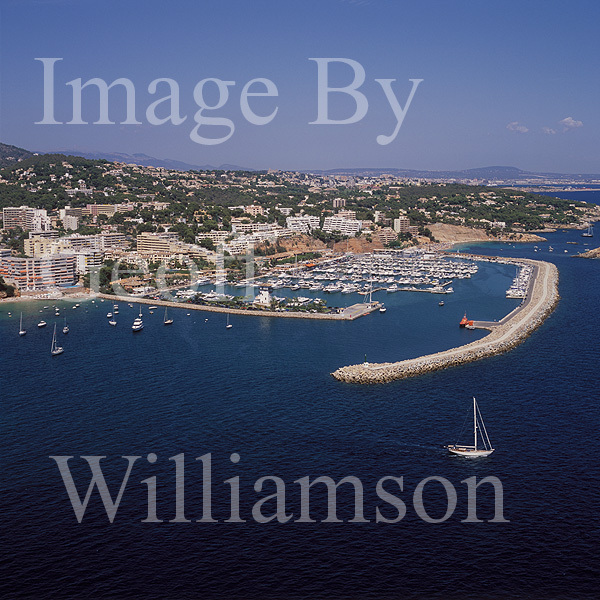 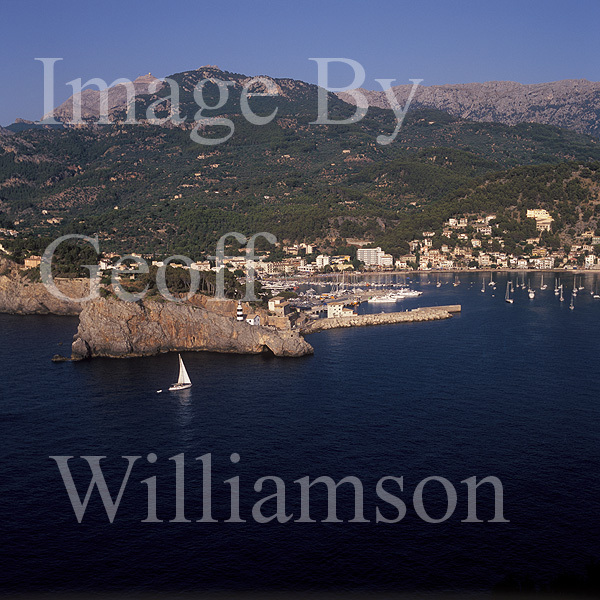 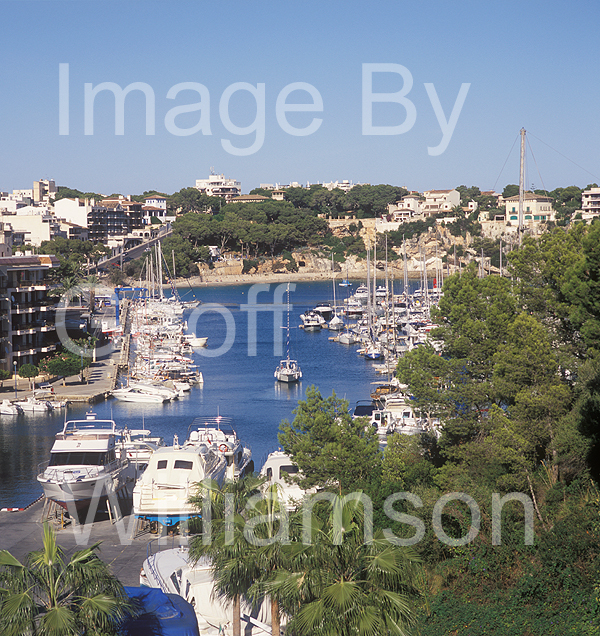 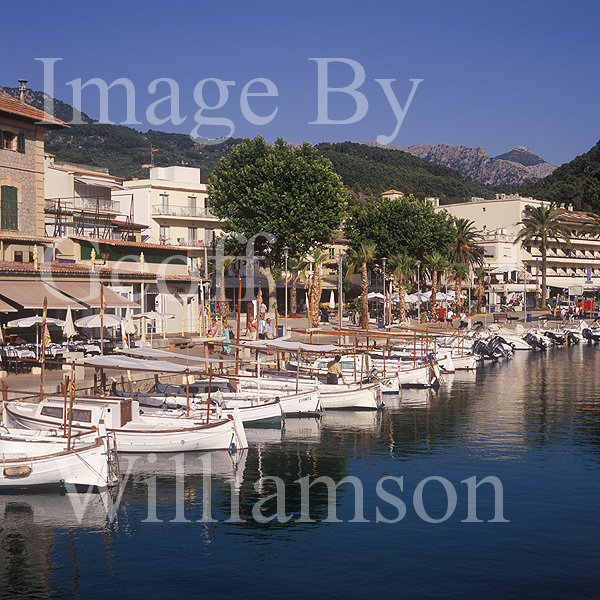 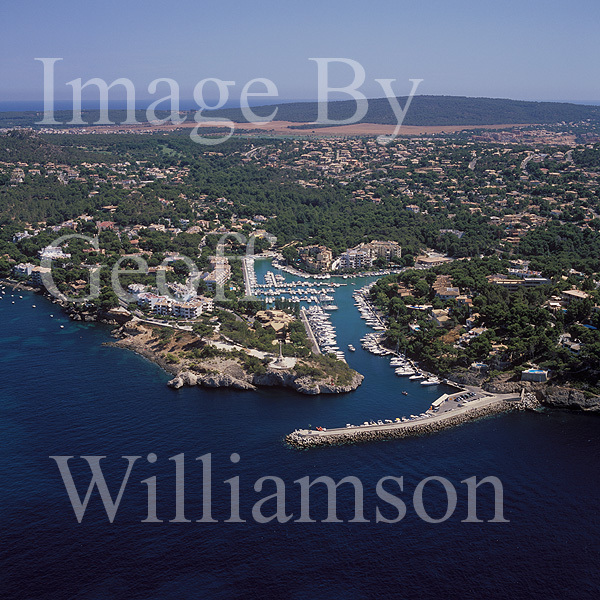 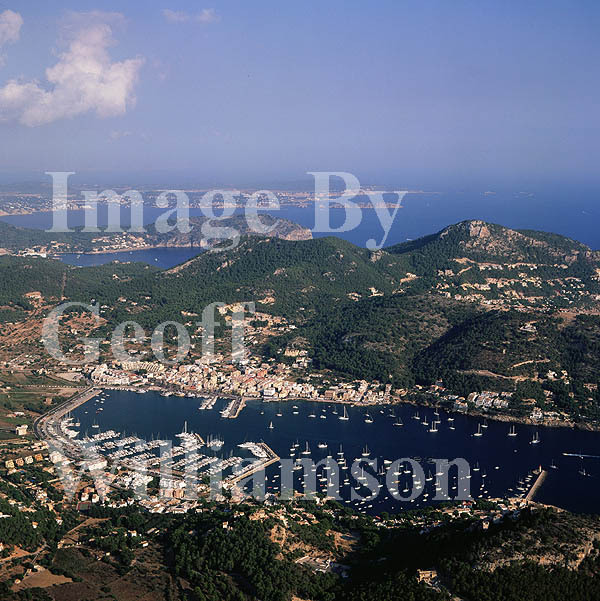 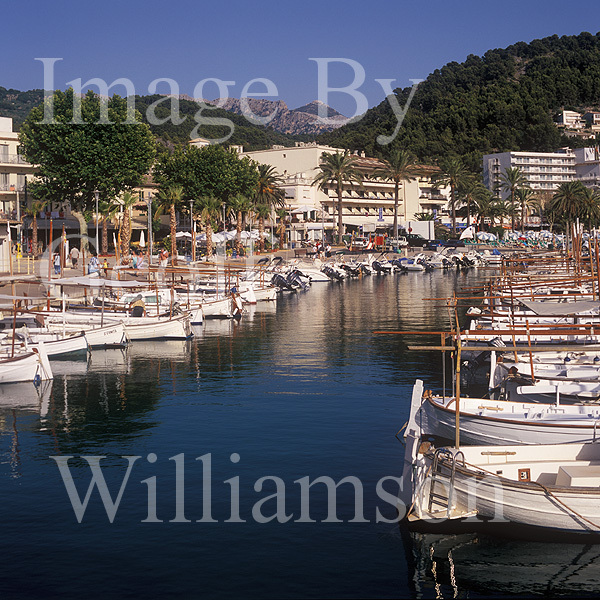 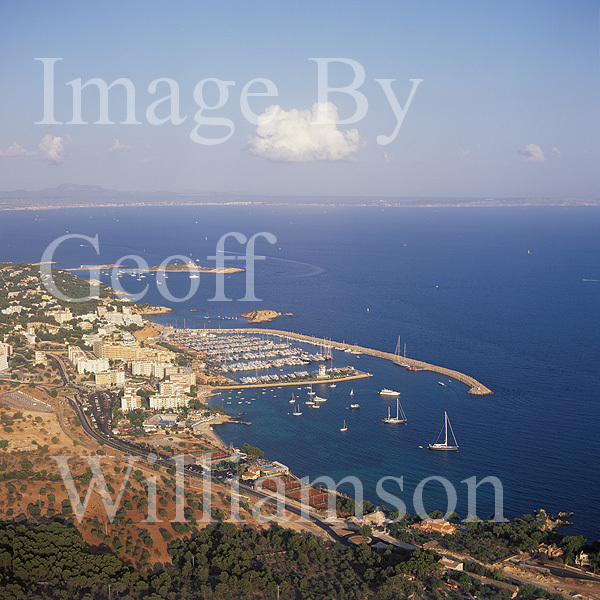 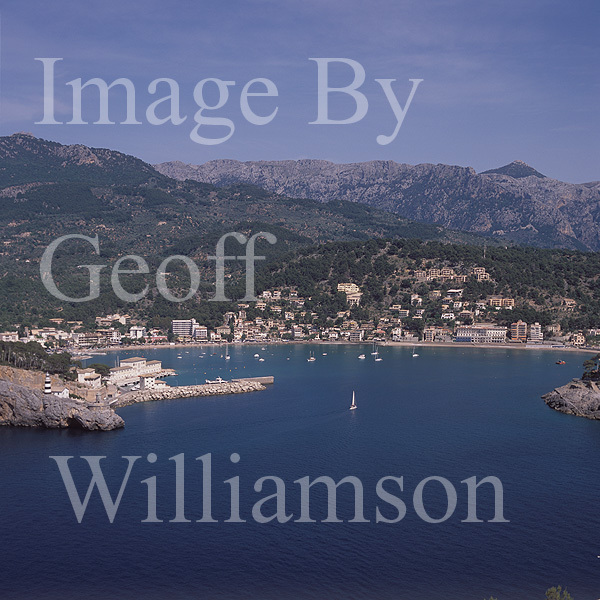 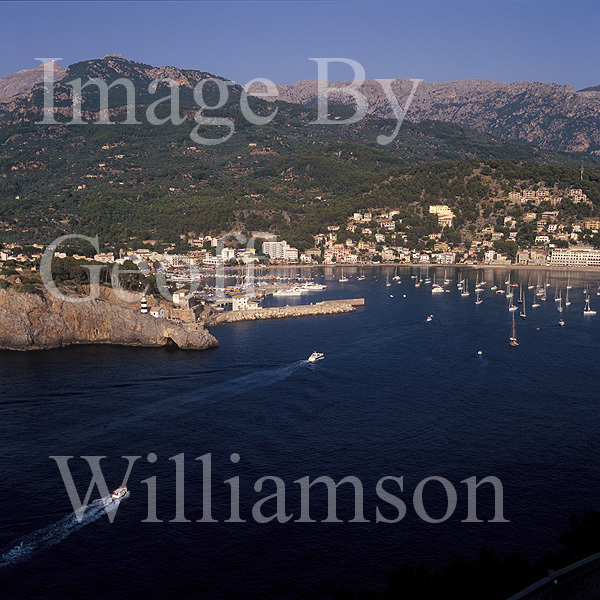 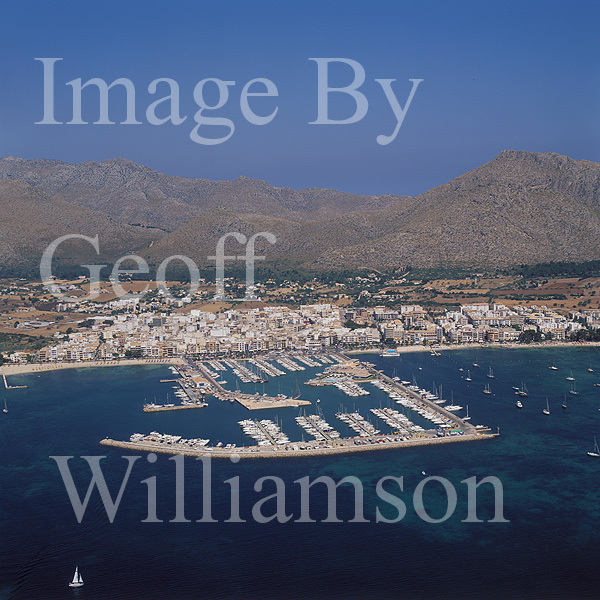 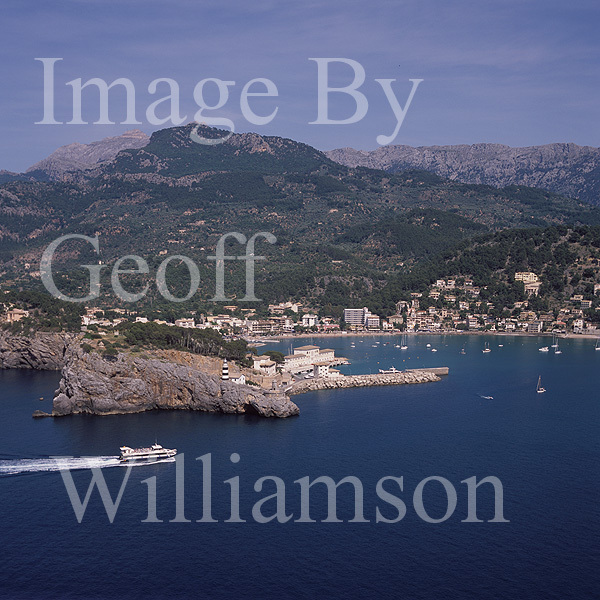 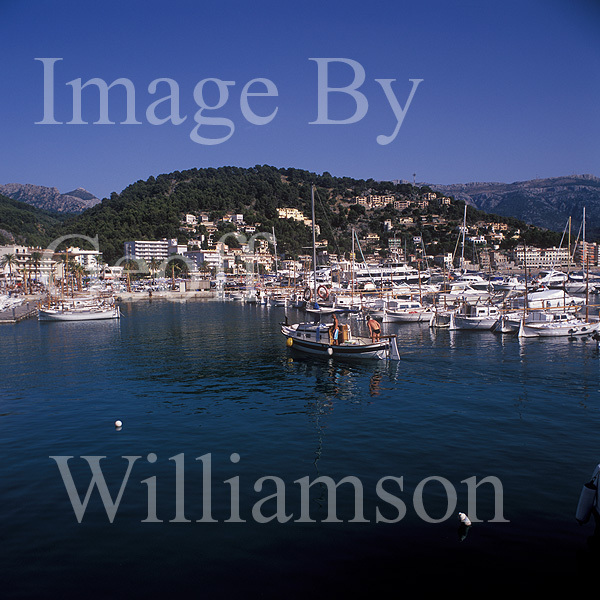 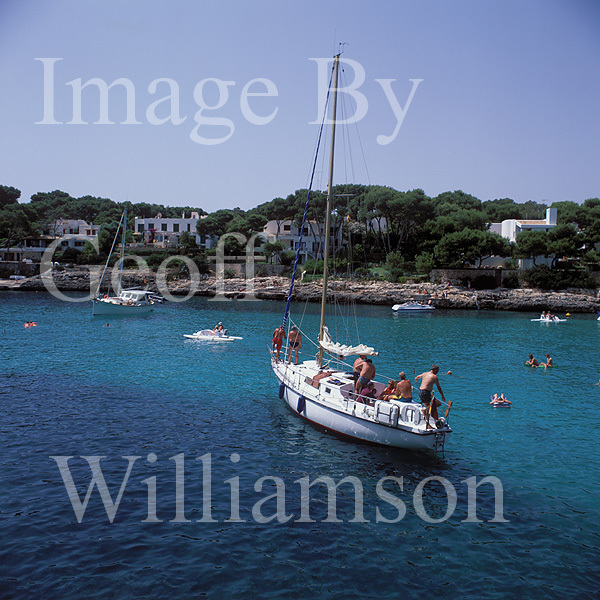 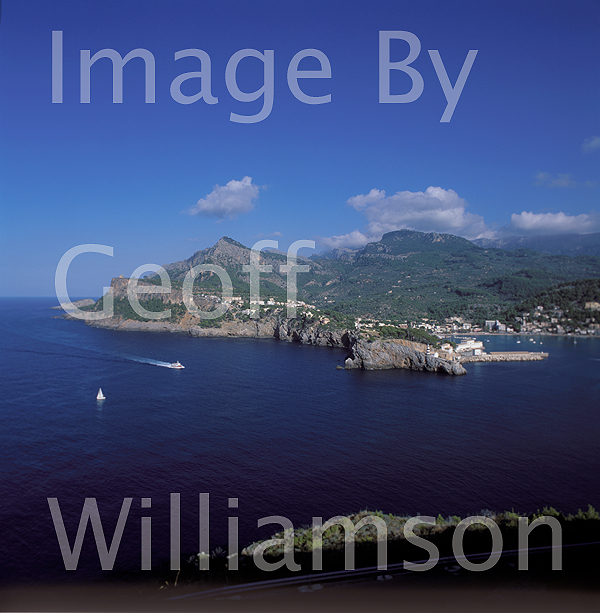 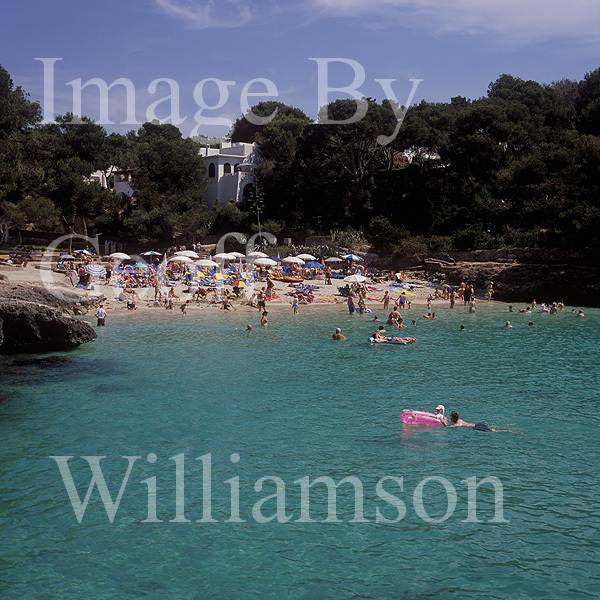 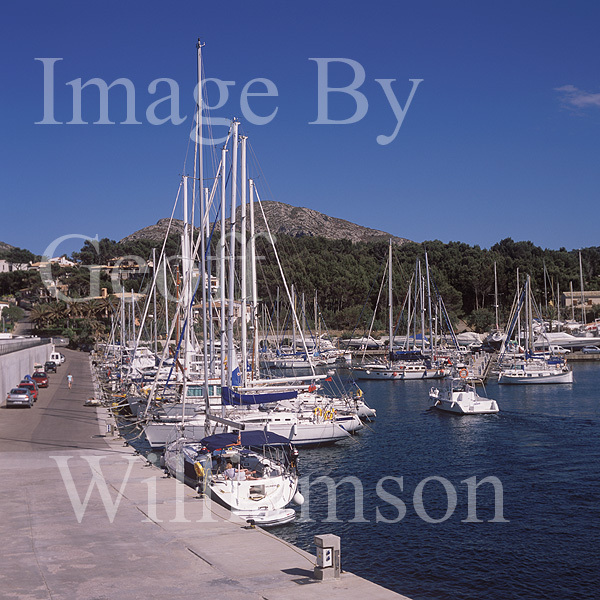 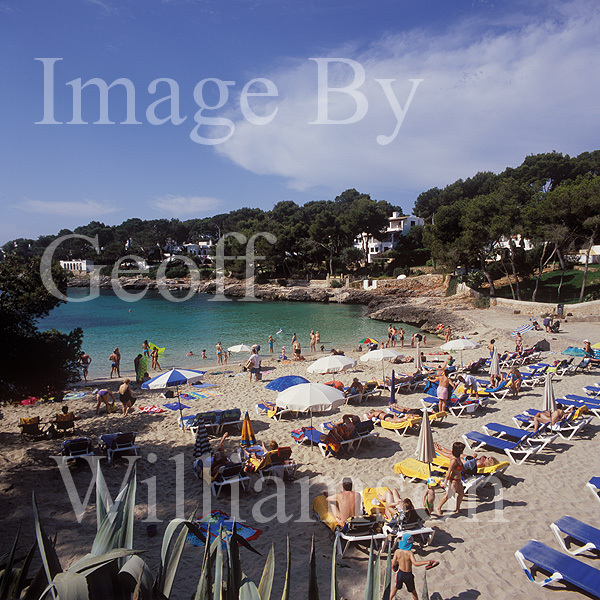 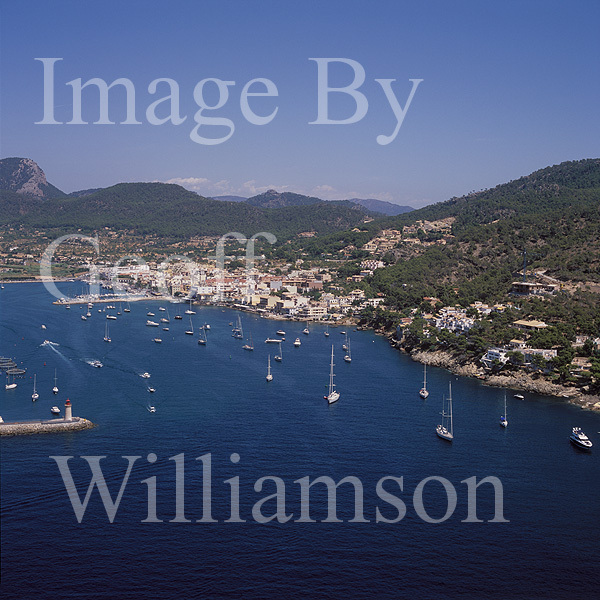 Images of the small harbour of Cala Ratjada / Cala Rajada and of small beach and anchorage north of Cala Ratjada harbour. 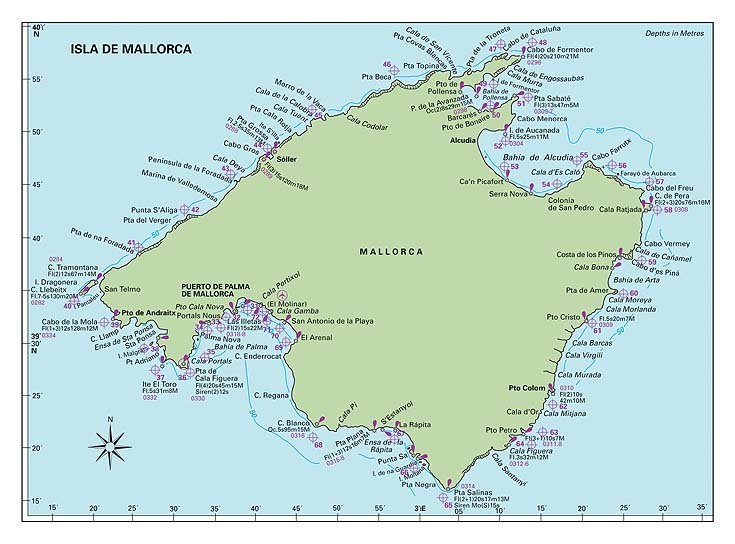 A popular calling point during mallorca circumnavigation trips. 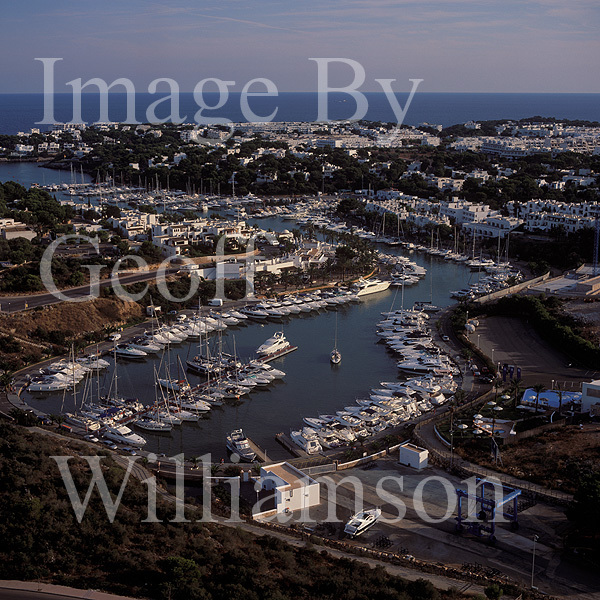 Porto Cristo Marina. 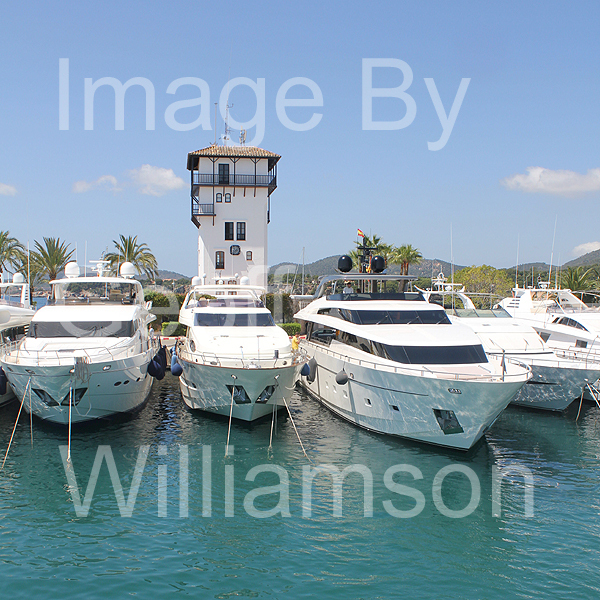 BLUE FLAG MARINA. 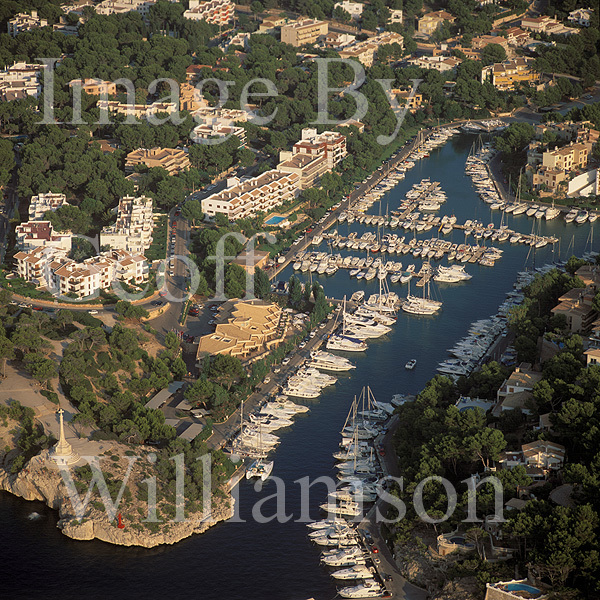 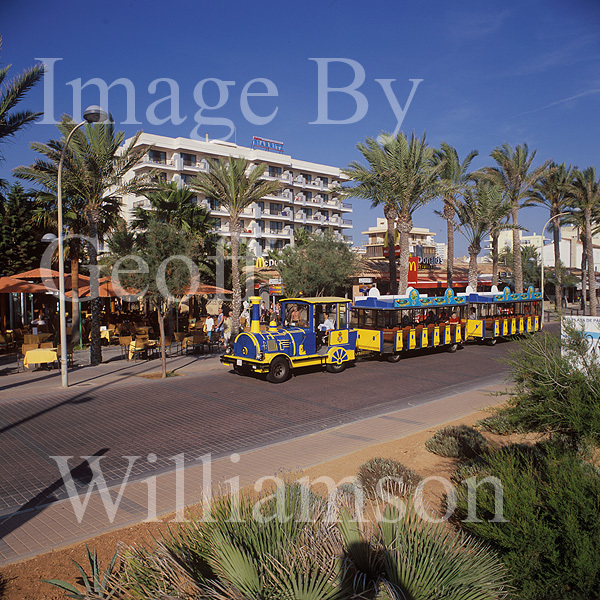 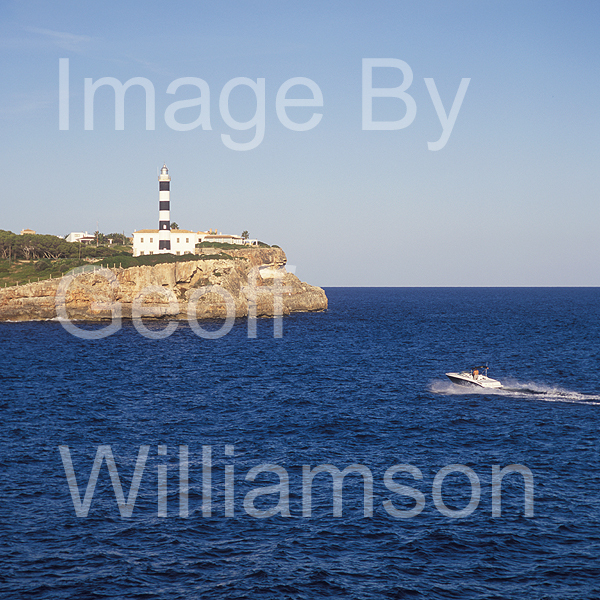 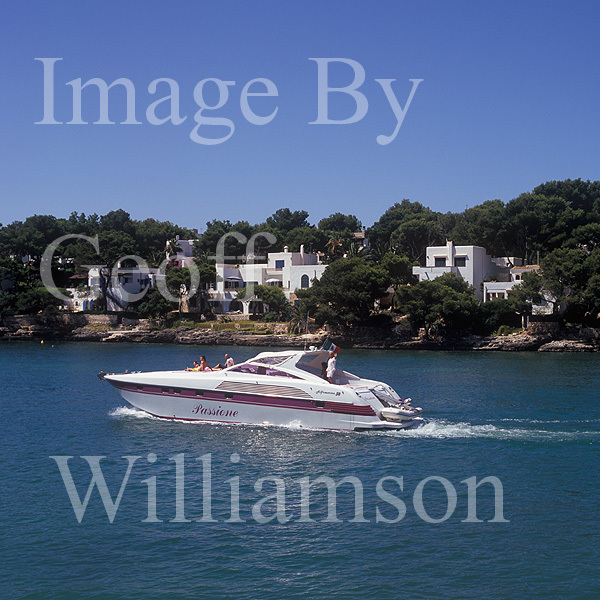 Images of Porto Cristo - sheltered port, marina and tourist resort - East Coast excursion boats - nearby famous caves. 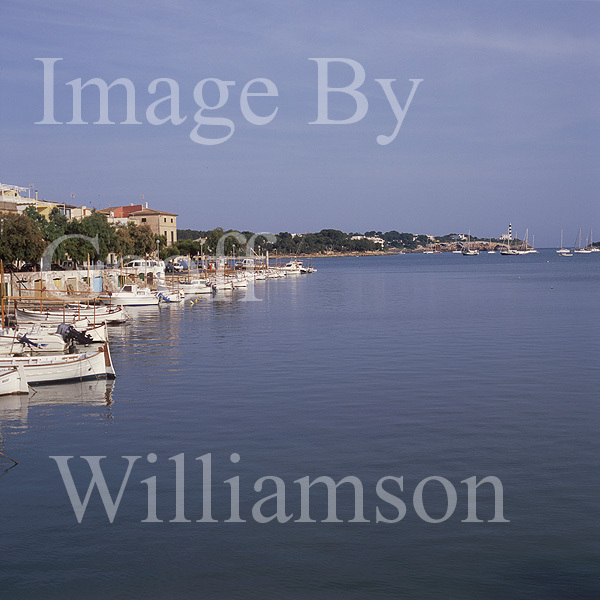 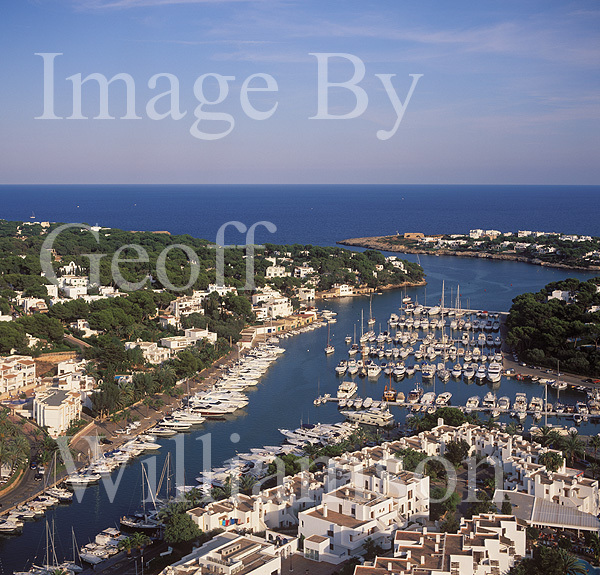 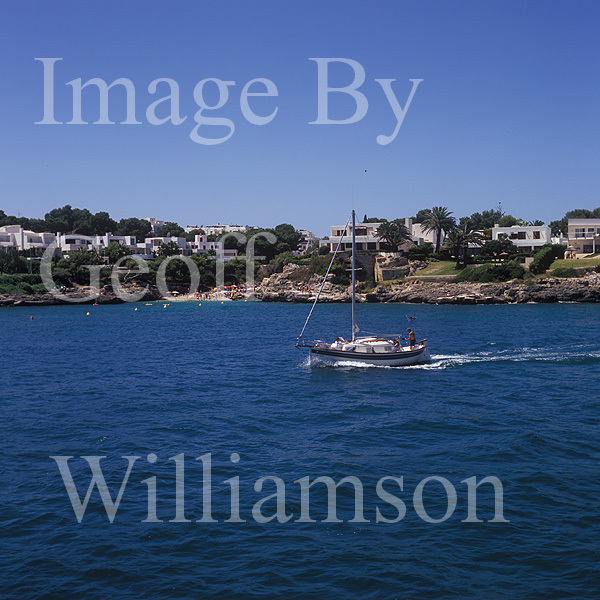 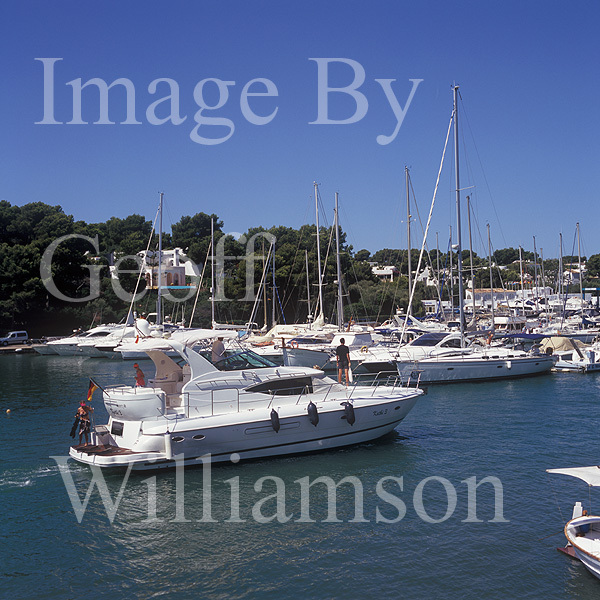 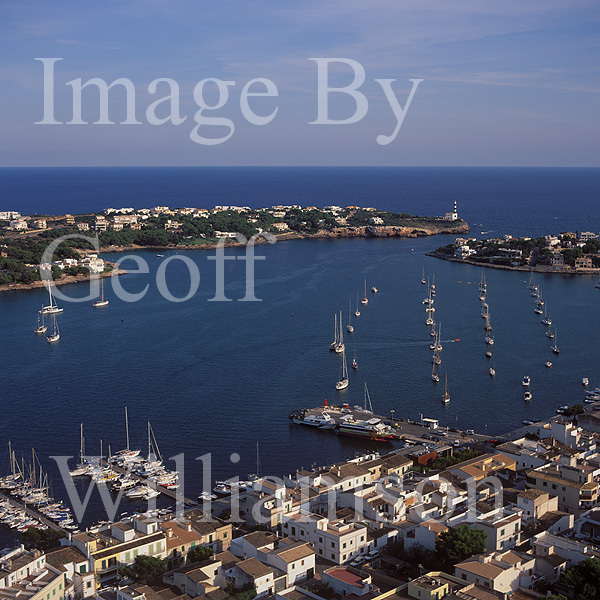 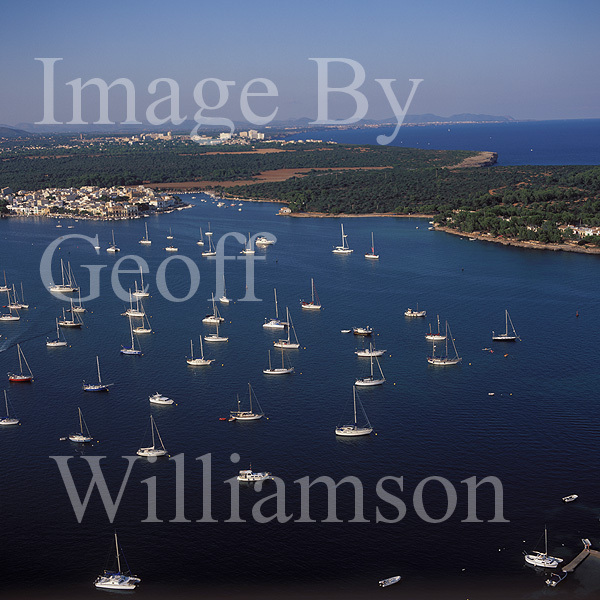 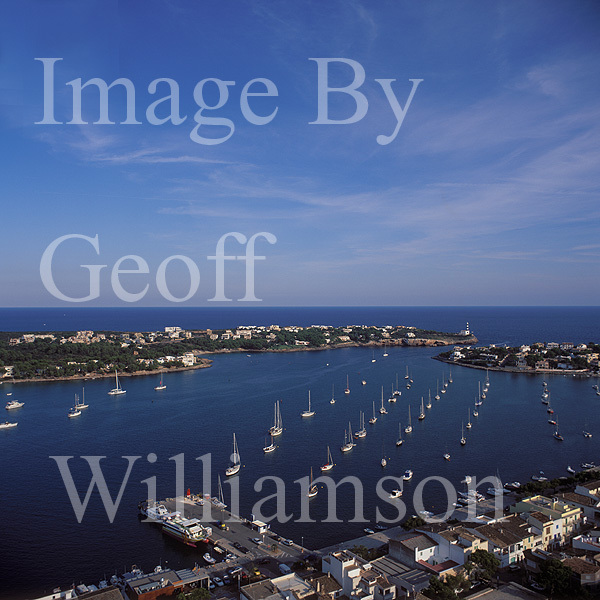 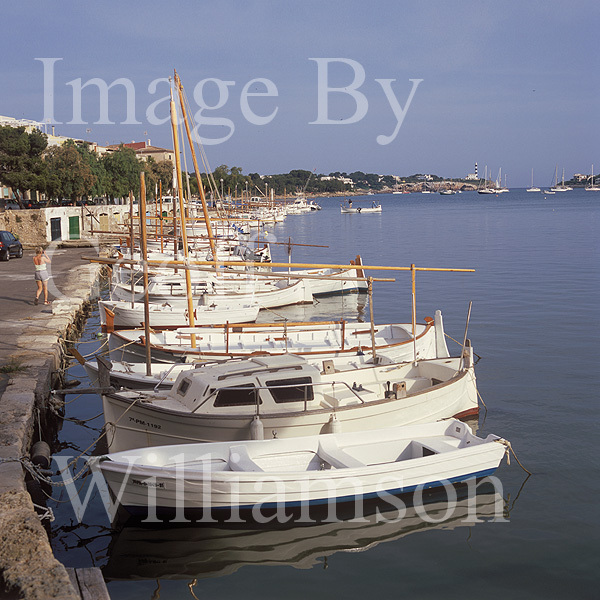 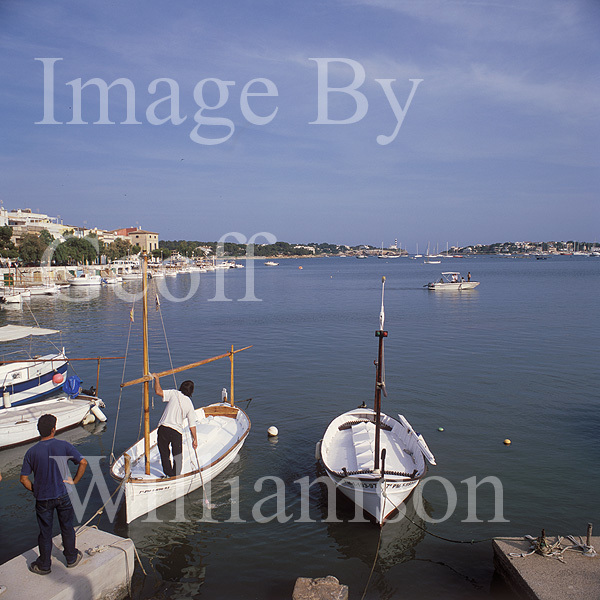 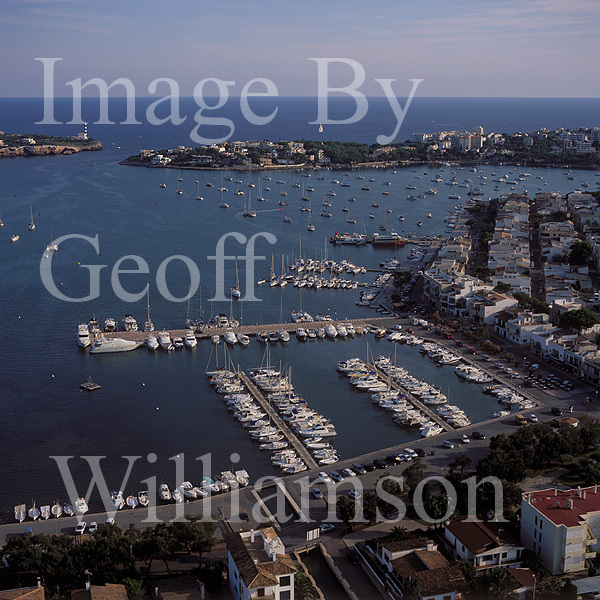 Porto Colom - a very sheltered anchorage in an almost totally enclosed large bay, a marina and popular tourist attraction with a multitude of bars, restaurants and ice creameries. 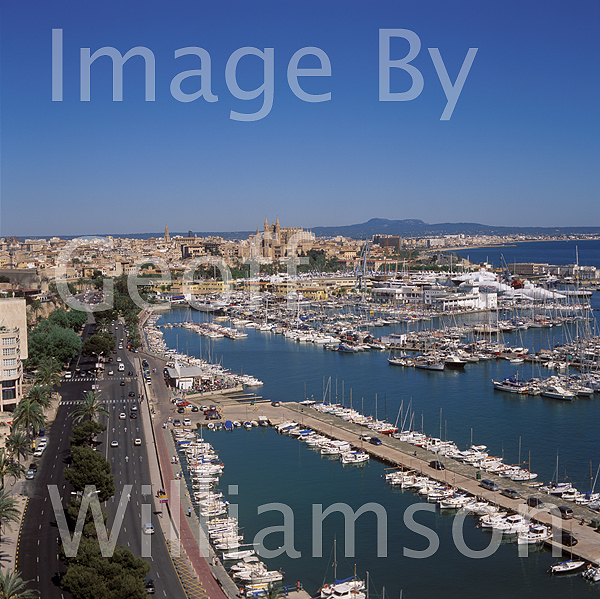 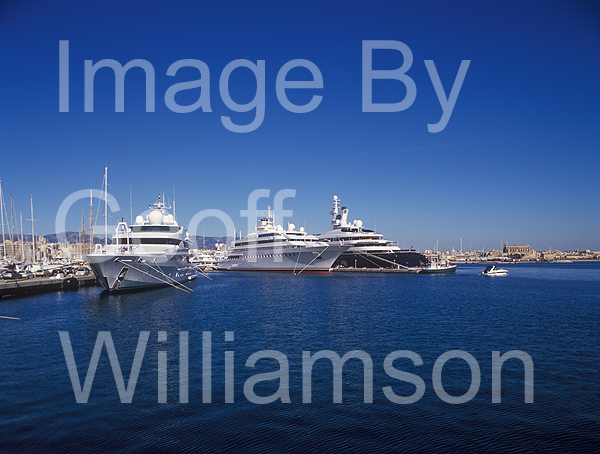 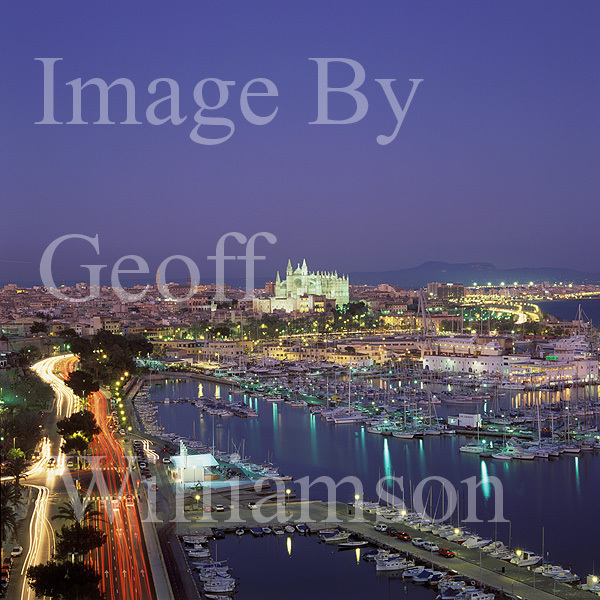 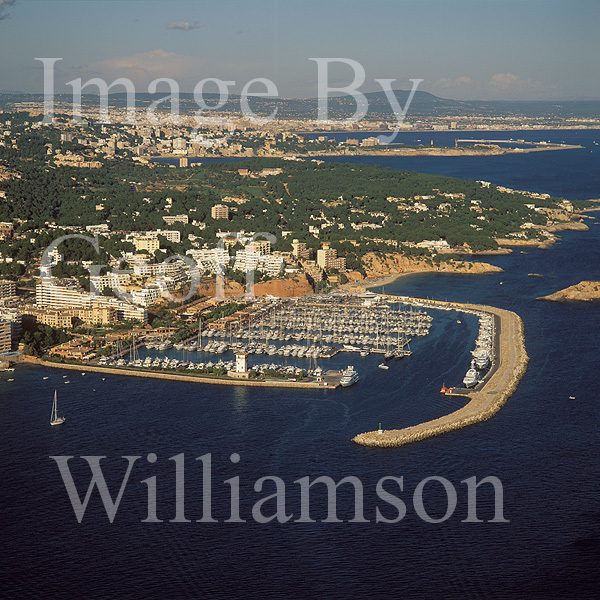 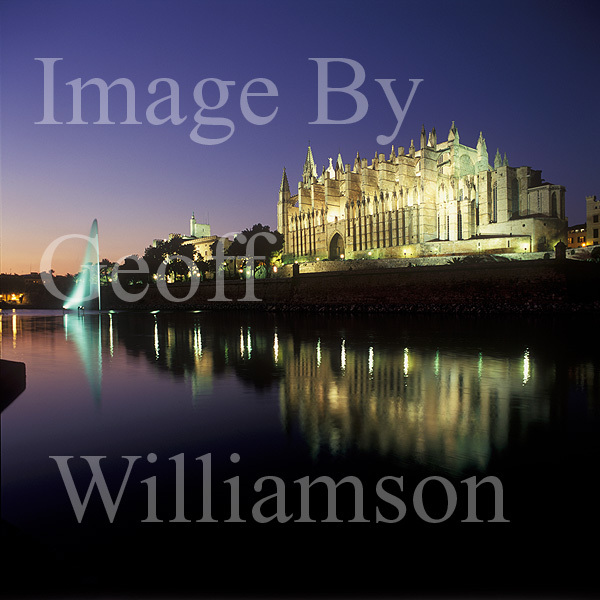 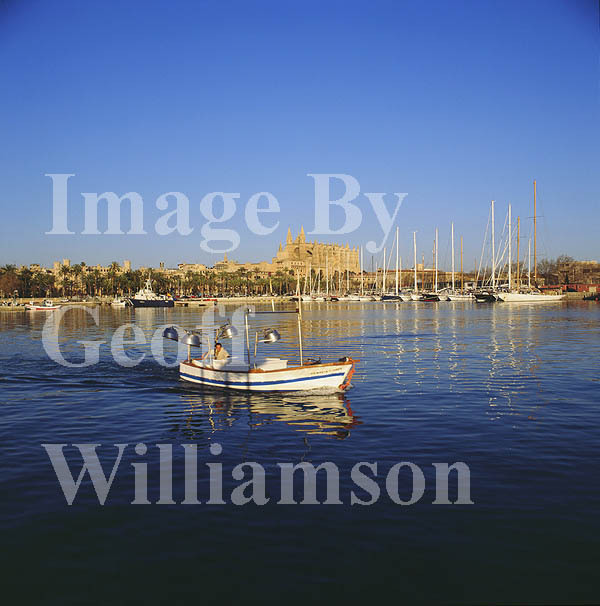 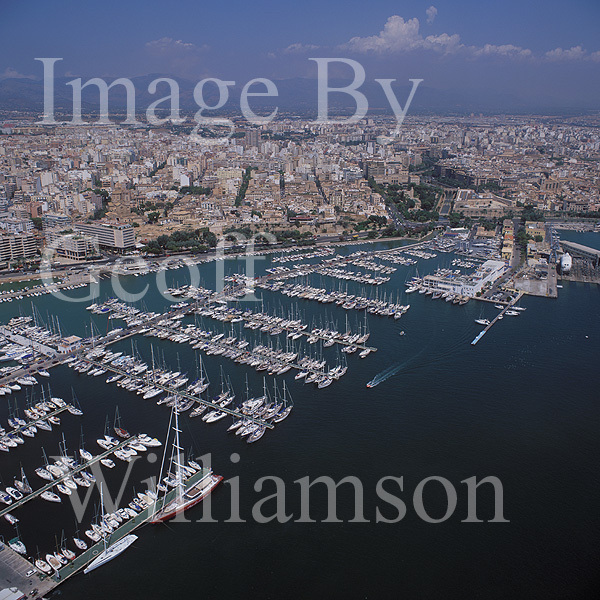 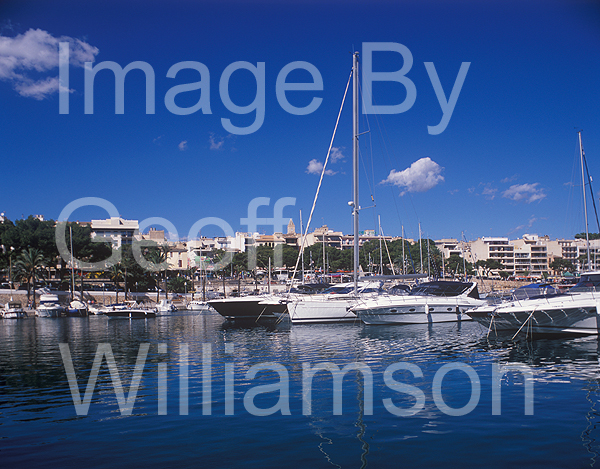 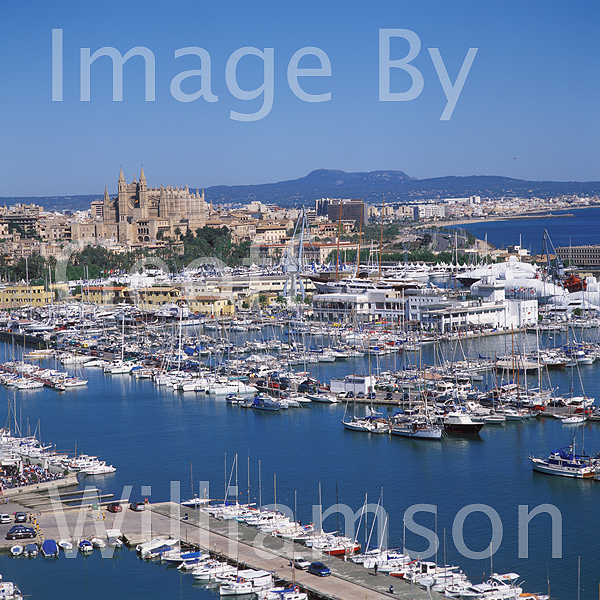 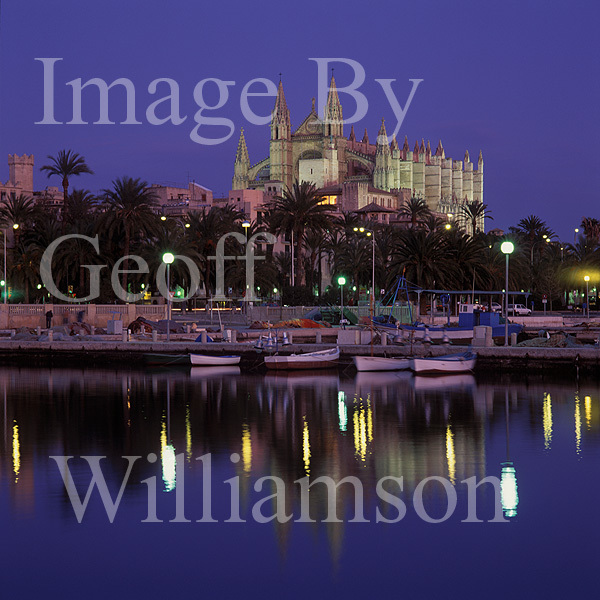 Palma de Mallorca is the home port of many of the world's largest megayachts and to many smaller craft. 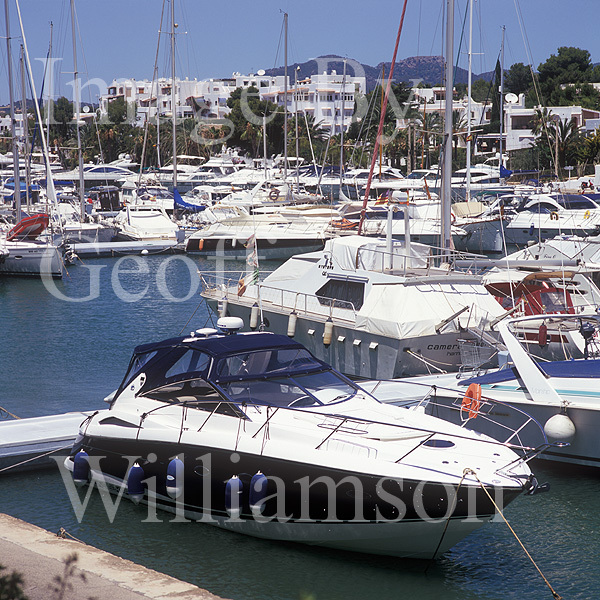 Numerous marinas and marine facilities cater the every need of both visiting and resident craft. 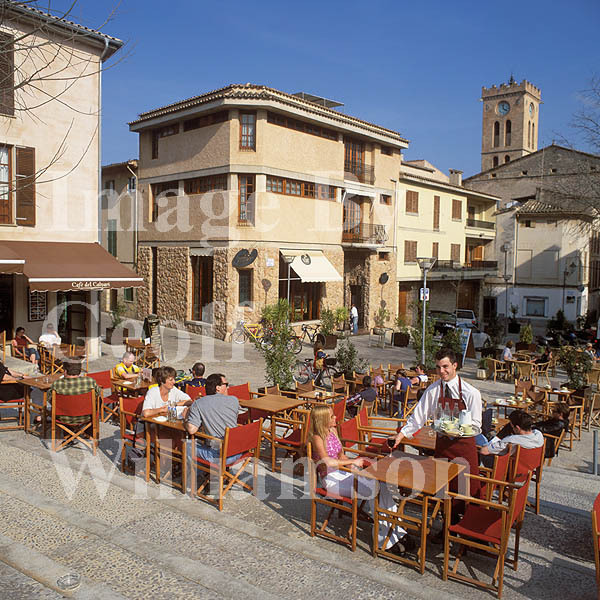 Excellent eateries, cultural facilities and air links. 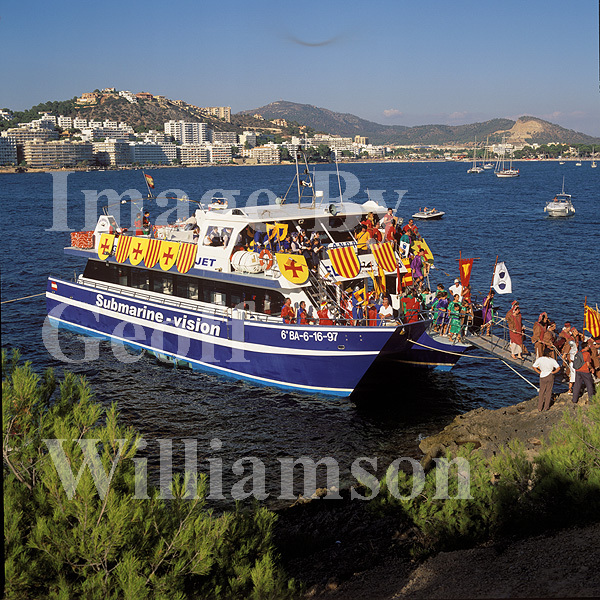 Real Club Náutico de Palma de Mallorca. 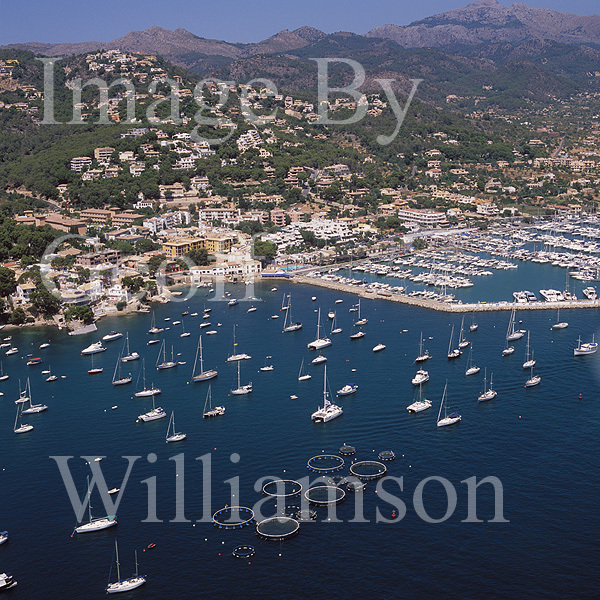 This Royal marina plays host to a number of prestigious international regattas which attract participants from far and wide including members of the Spanish royal family. 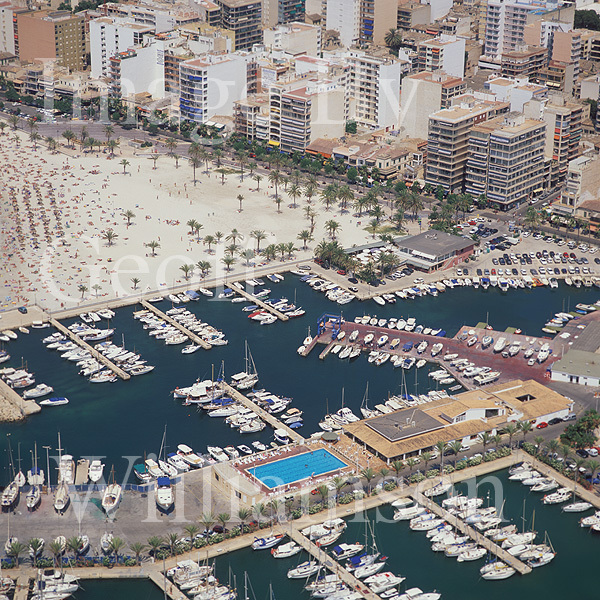 Marina Port de Mallorca, Palma de Mallorca. 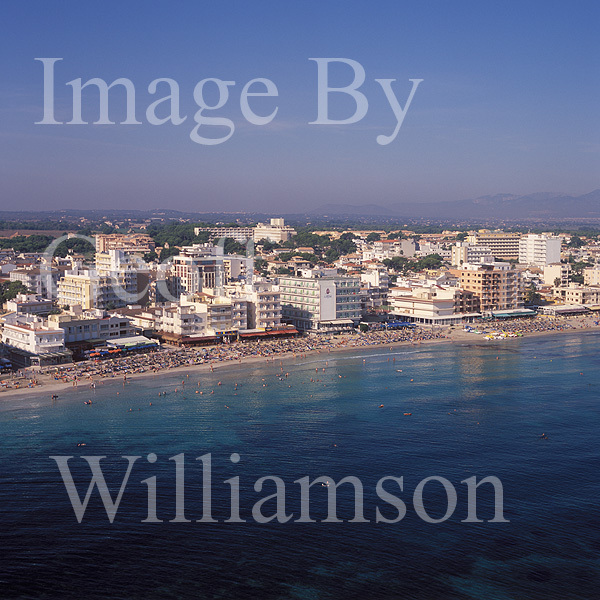 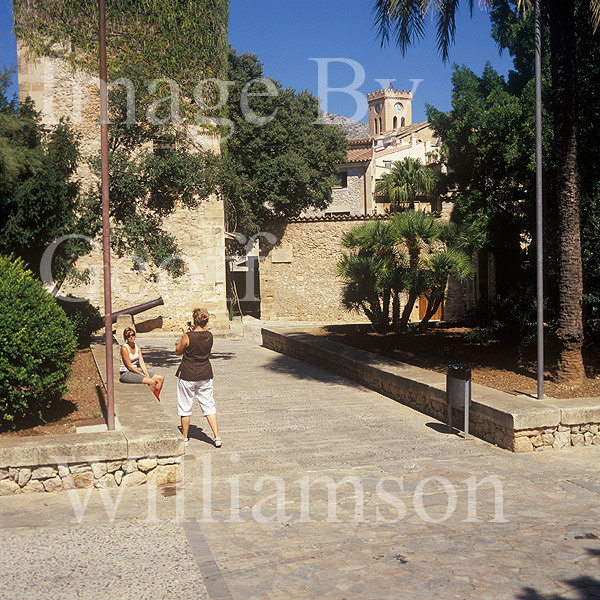 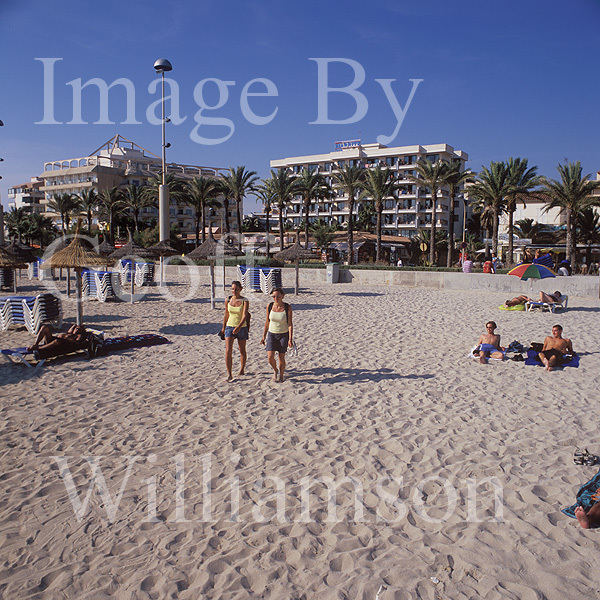 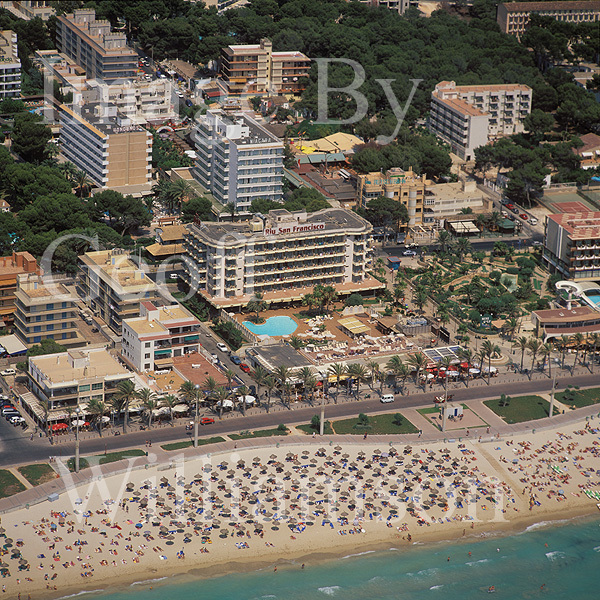 Located at the centre of the Paseo Mallorca close to quality hotels and restaurants. 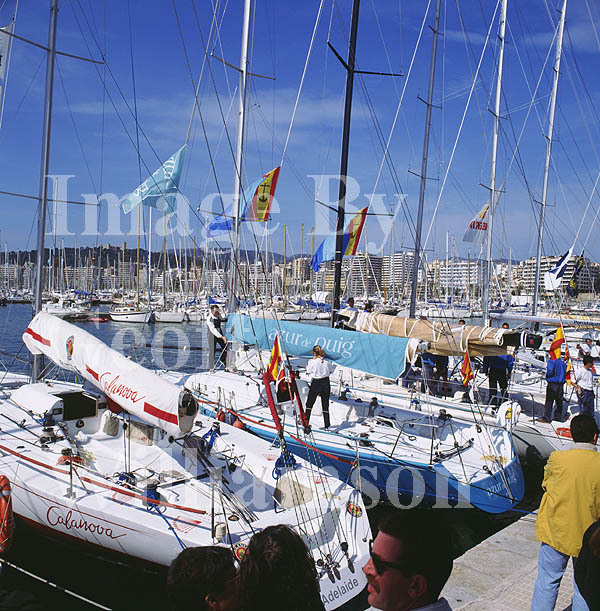 Club de Mar, Palma de Mallorca. 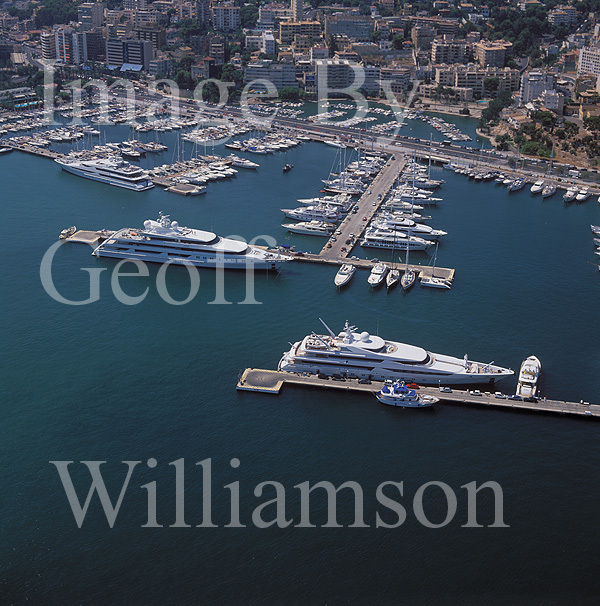 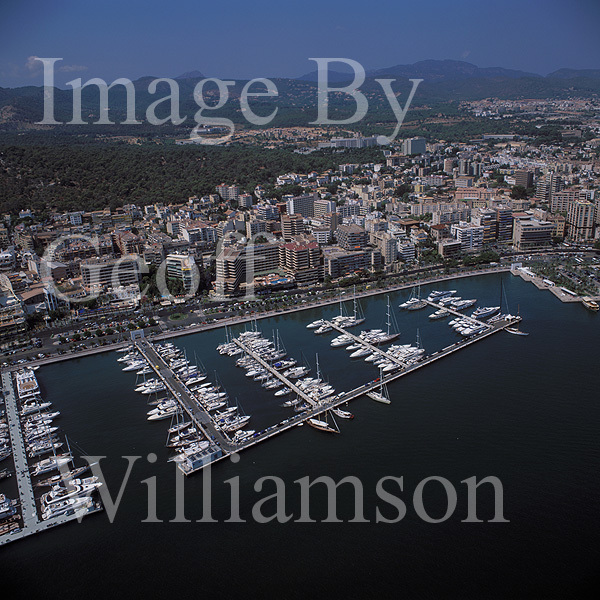 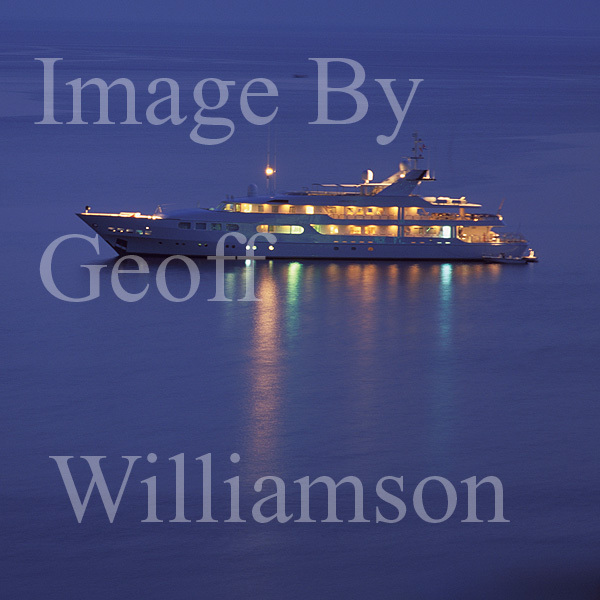 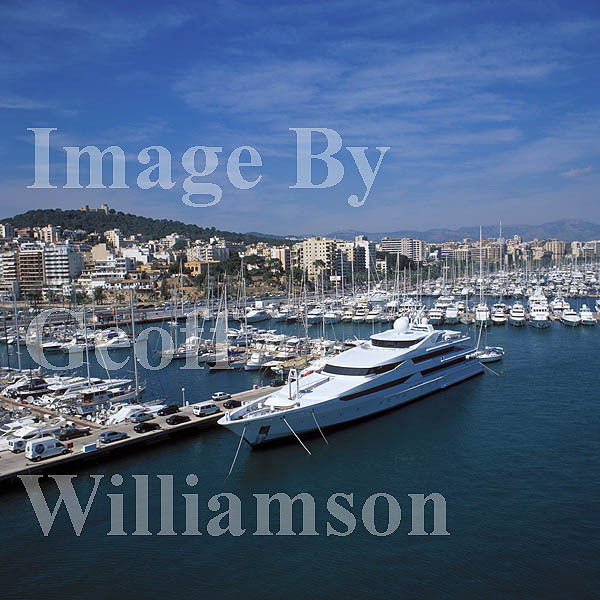 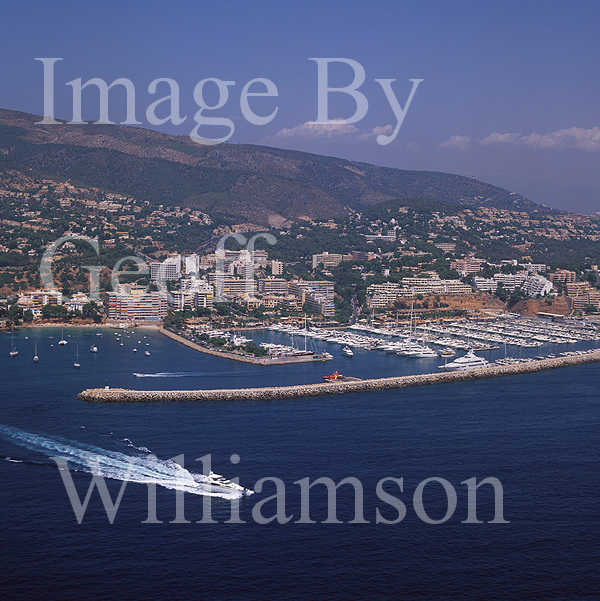 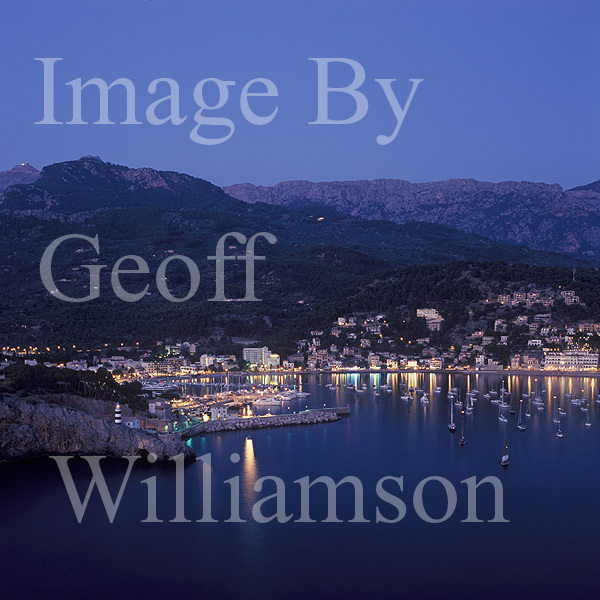 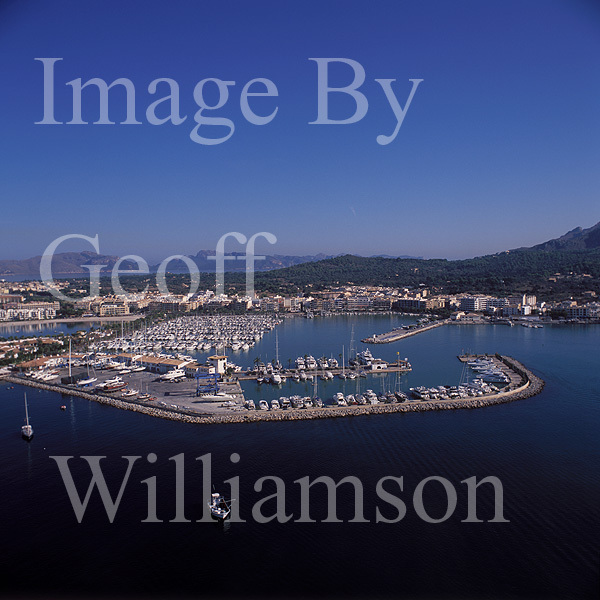 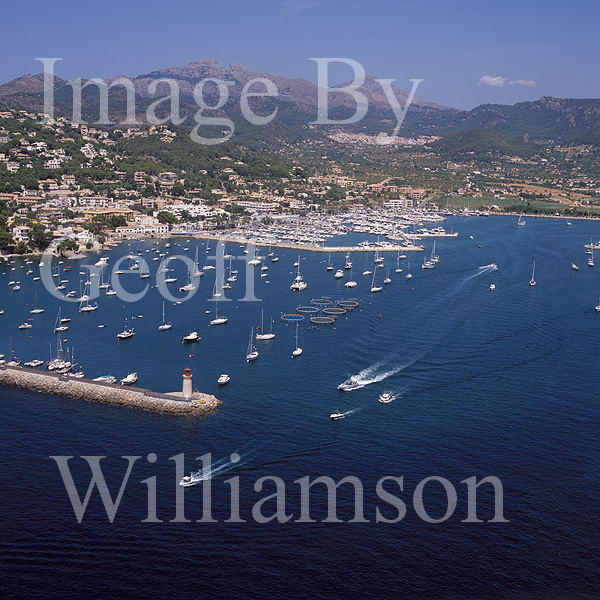 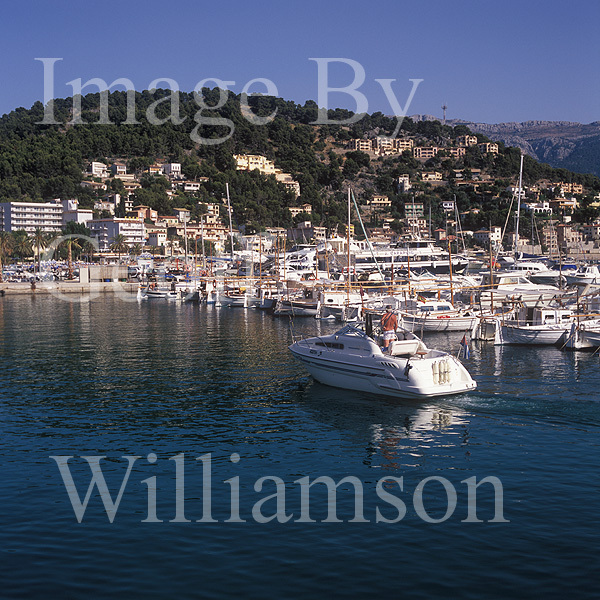 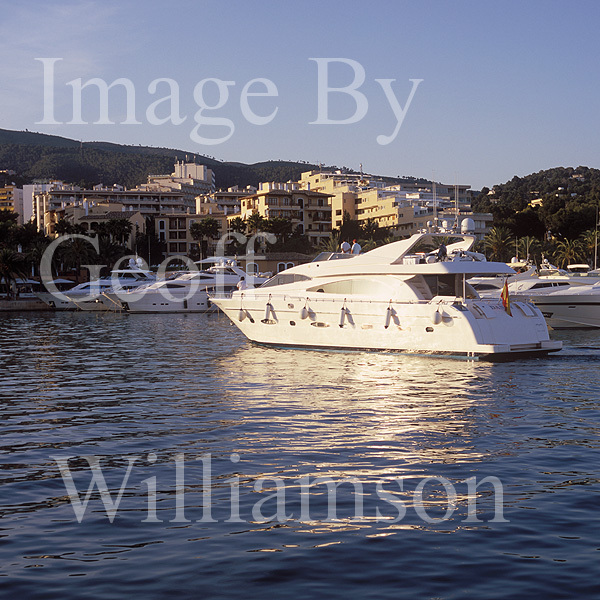 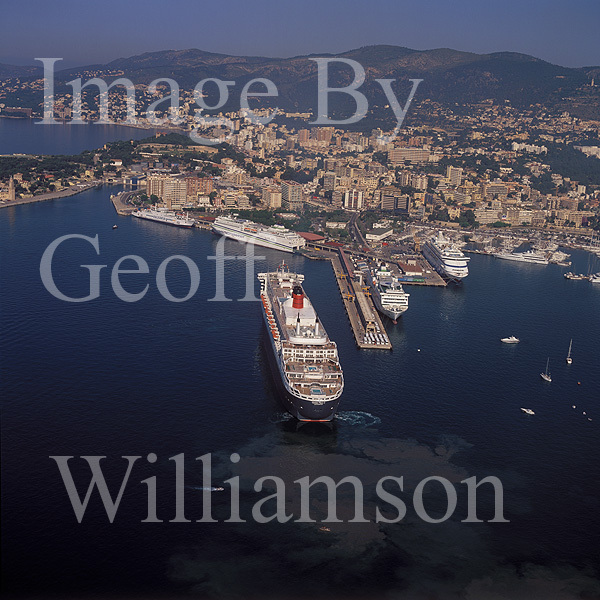 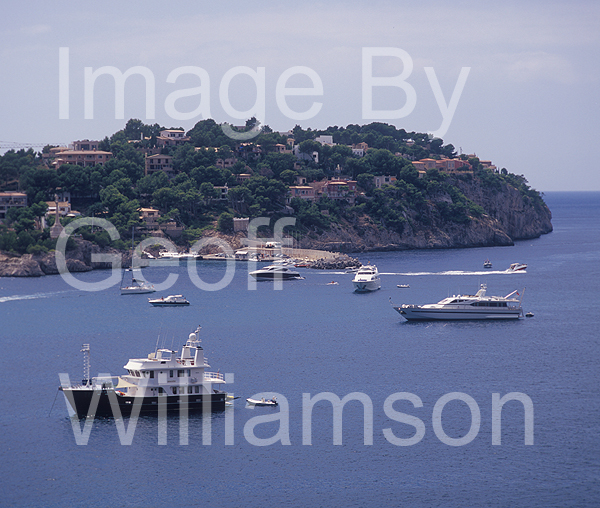 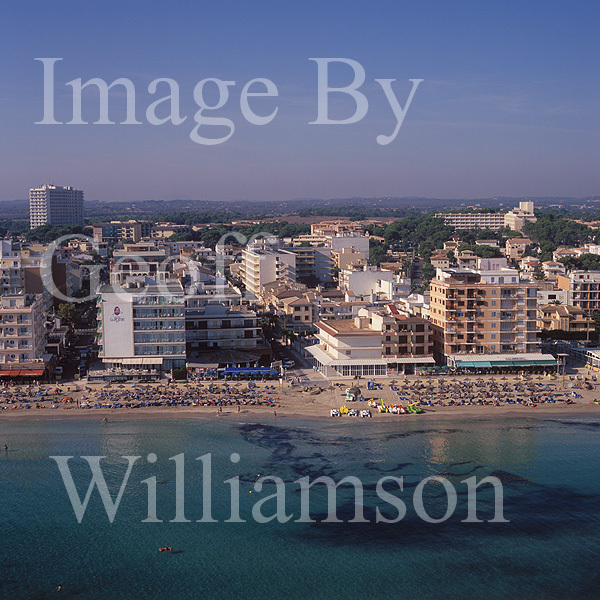 Home base to many large superyachts and smaller craft. 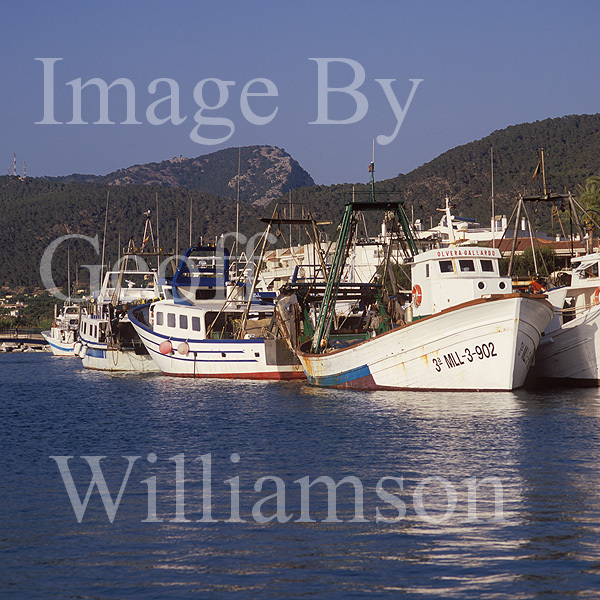 comprehensive marine facilities. 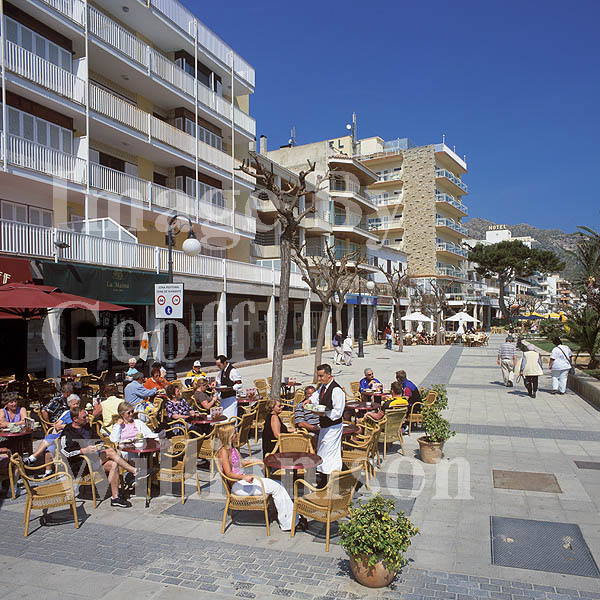 Popular bar and restaurant and close access to Porto Pi modern shopping centre. 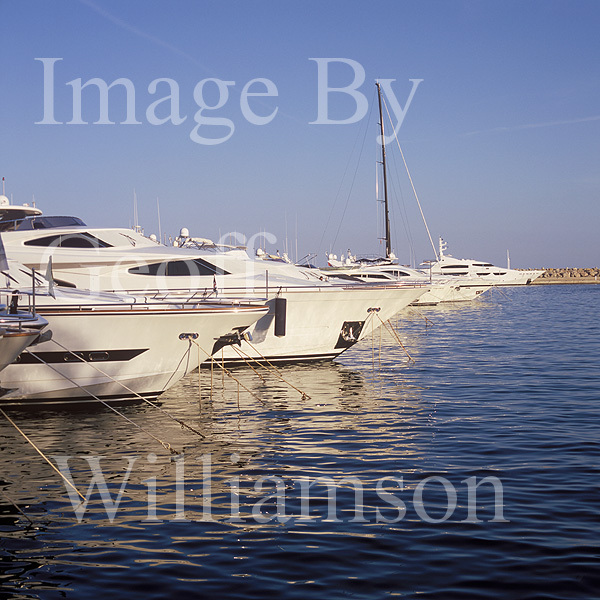 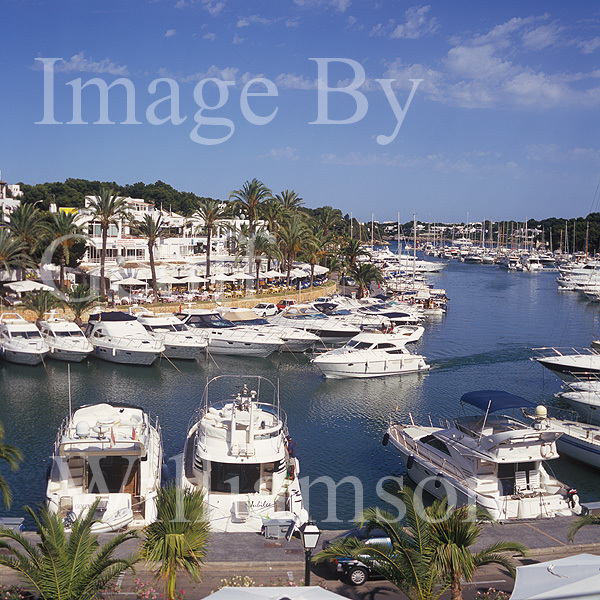 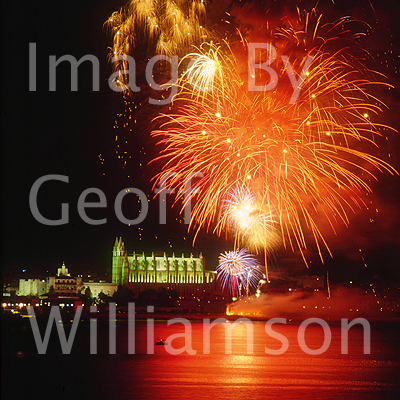 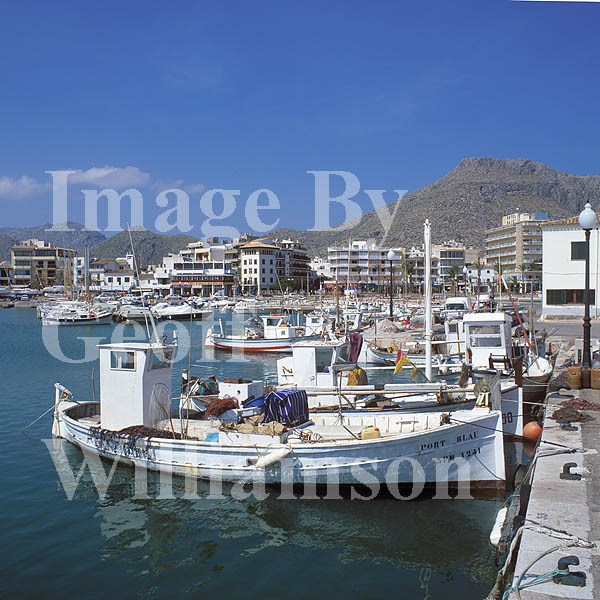 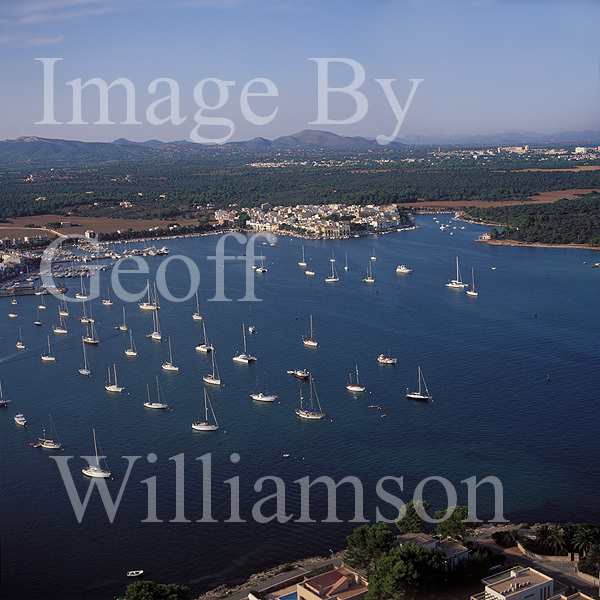 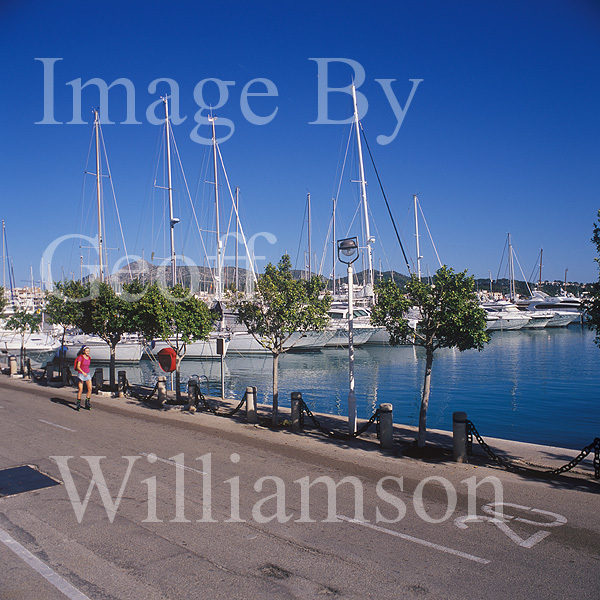 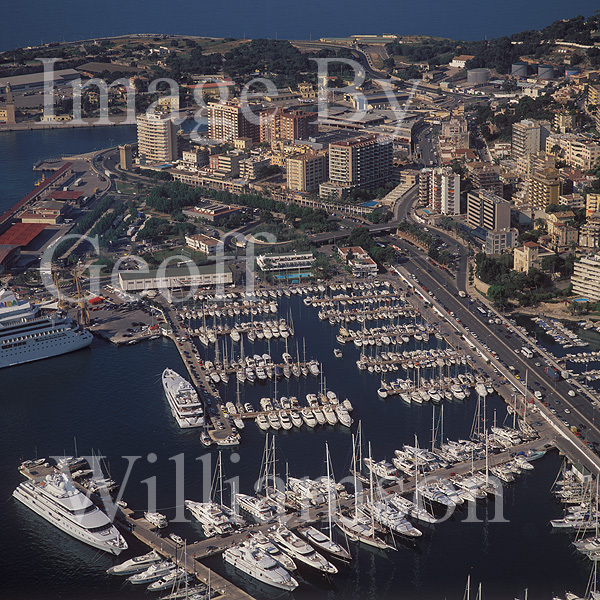 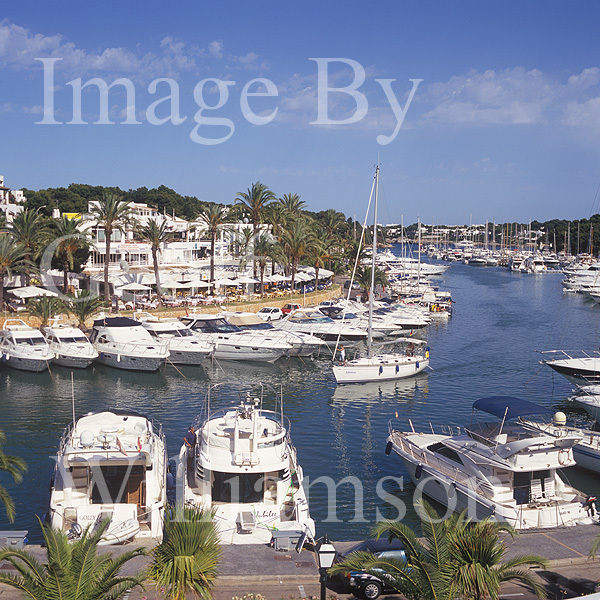 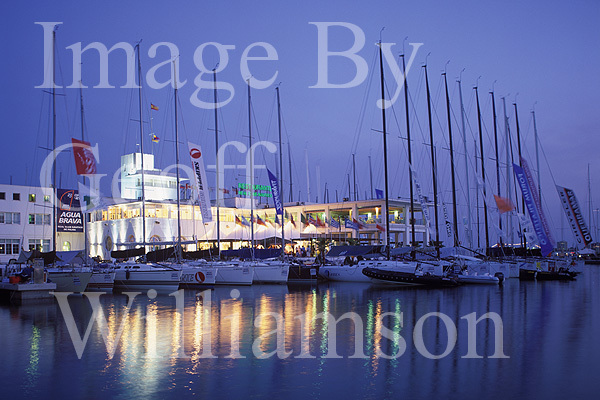 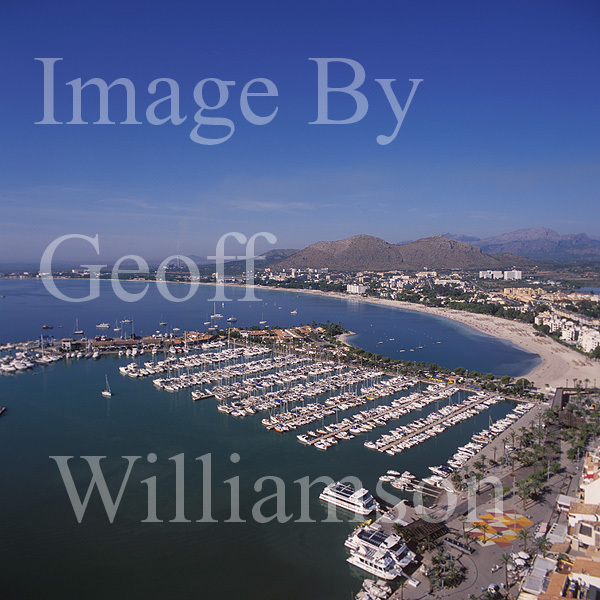 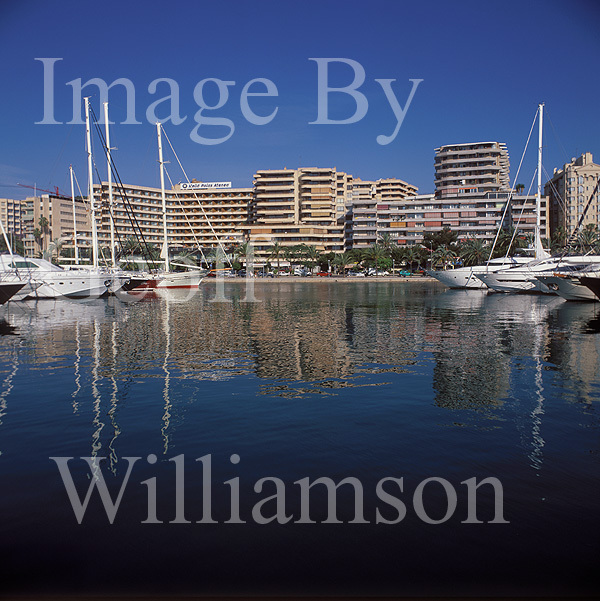 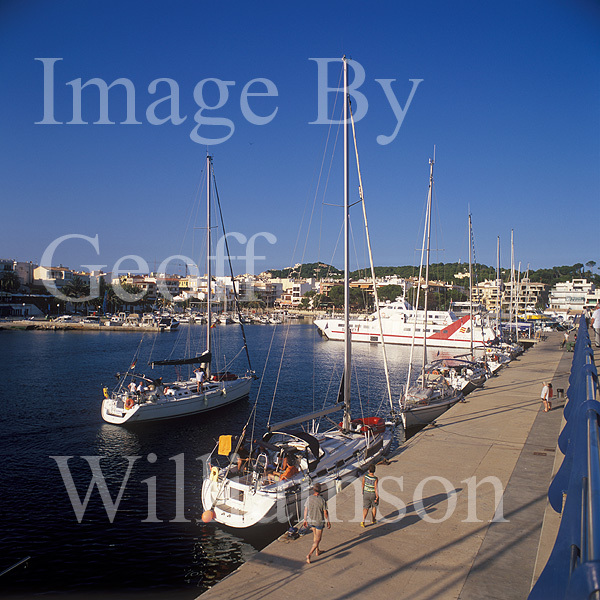 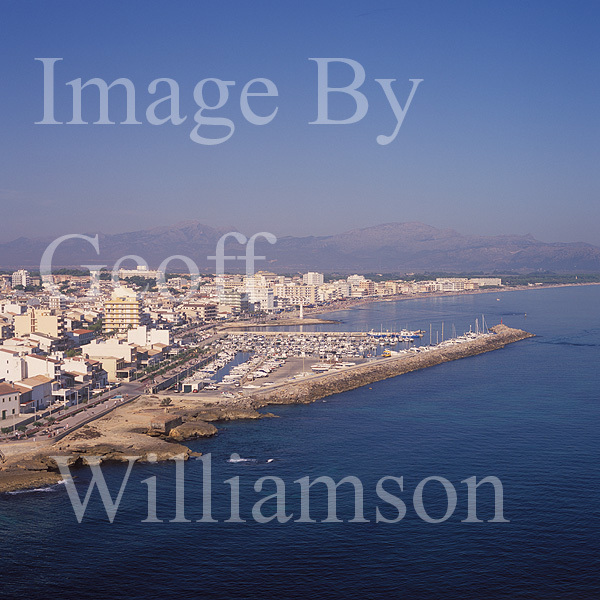 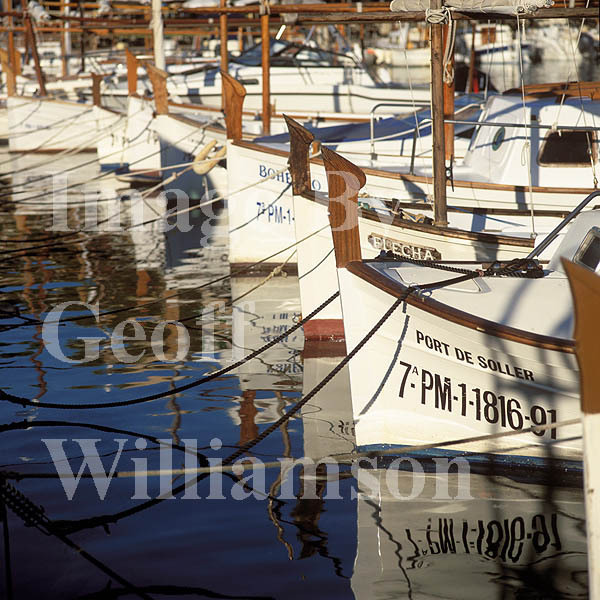 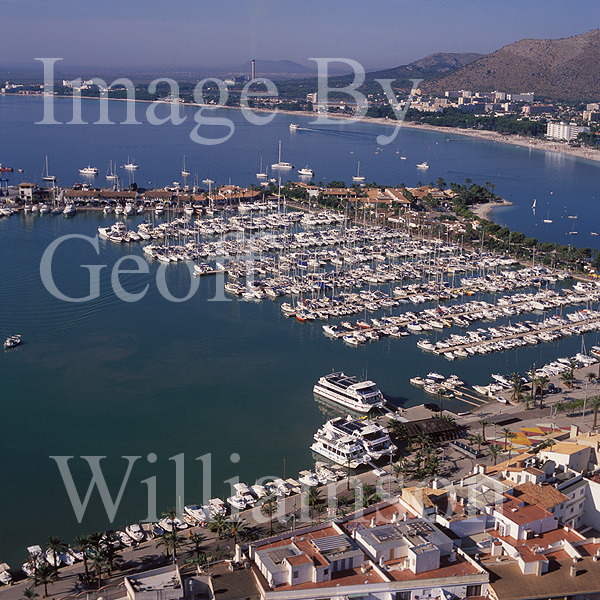 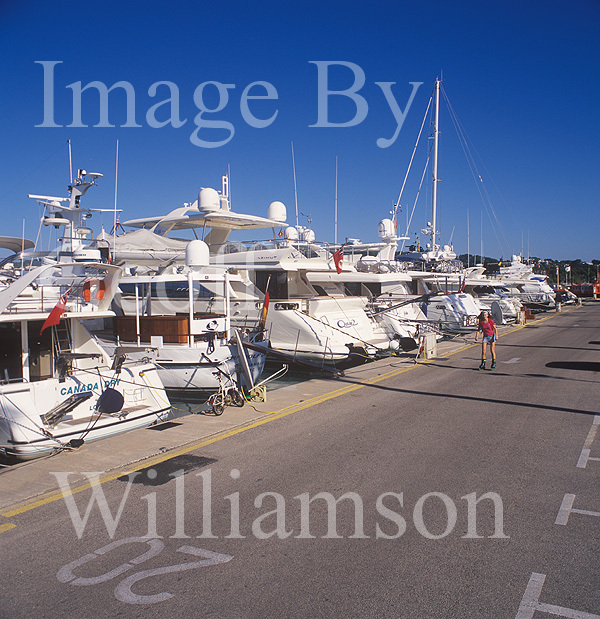 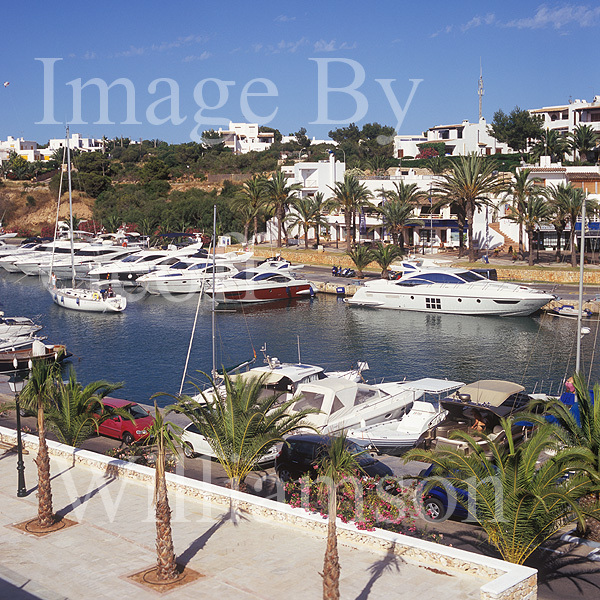 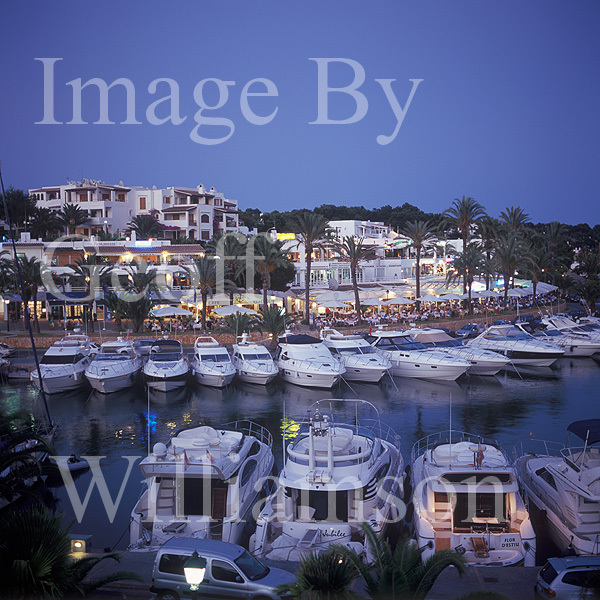 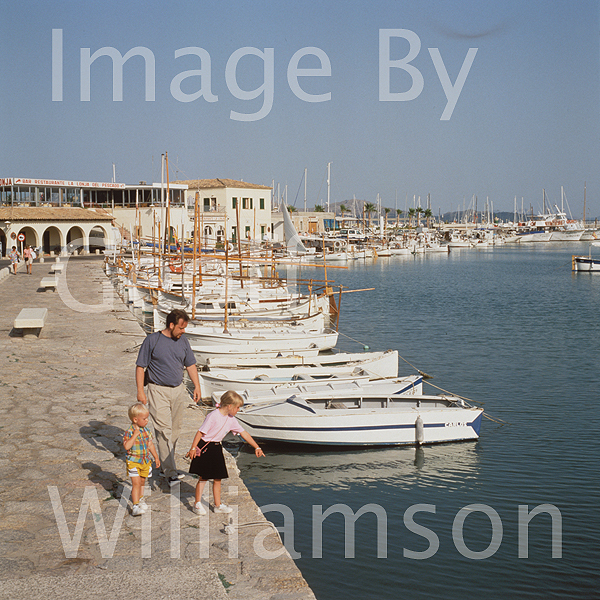 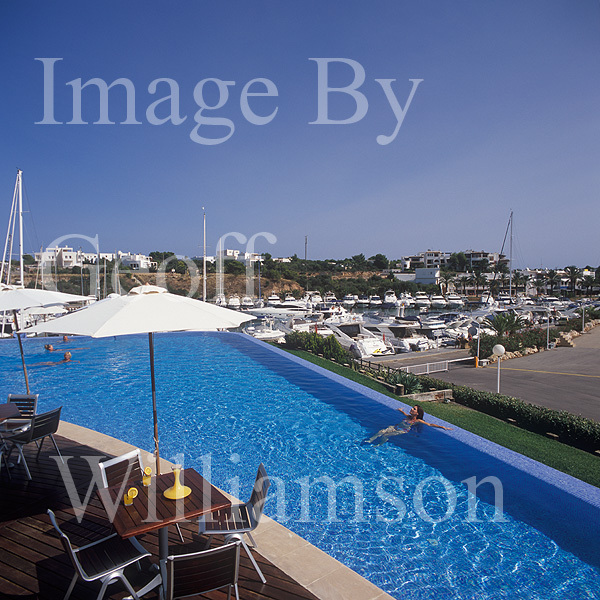 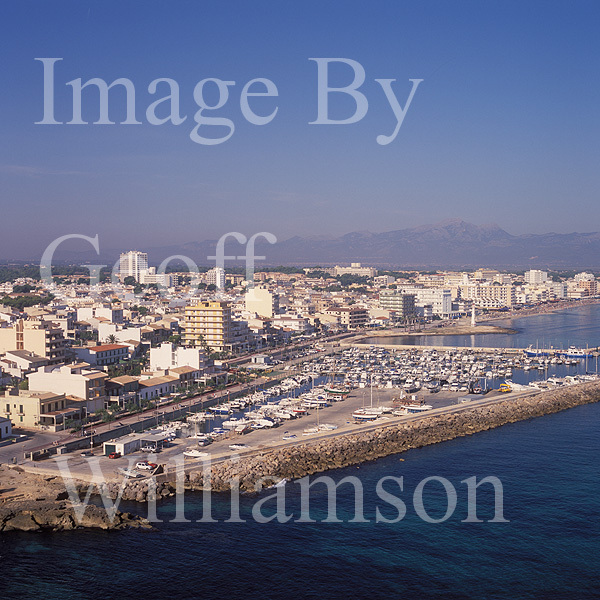 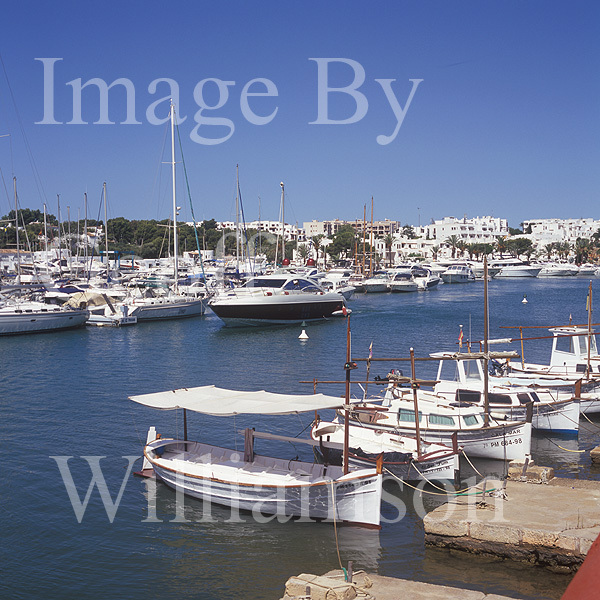 Images of Puerto Portals Marina - substantial marine services - popular quality bars and restaurants. 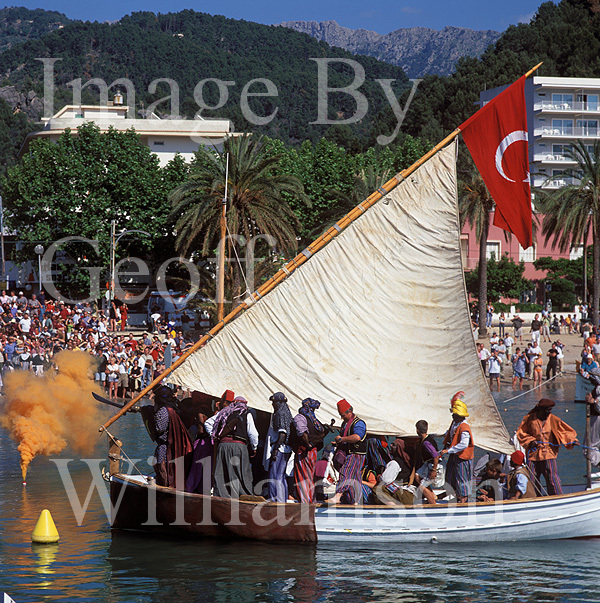 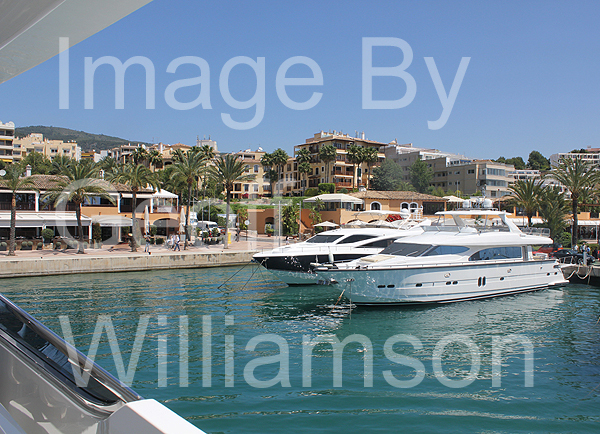 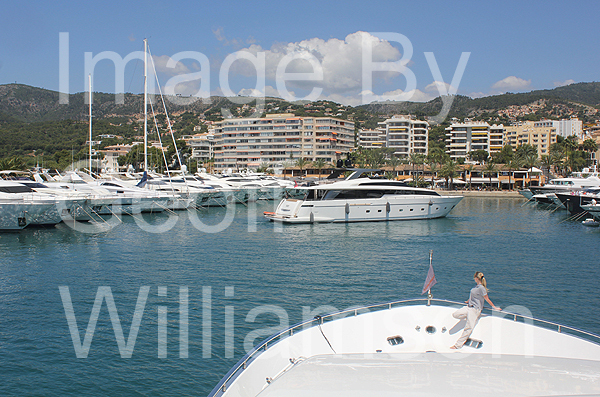 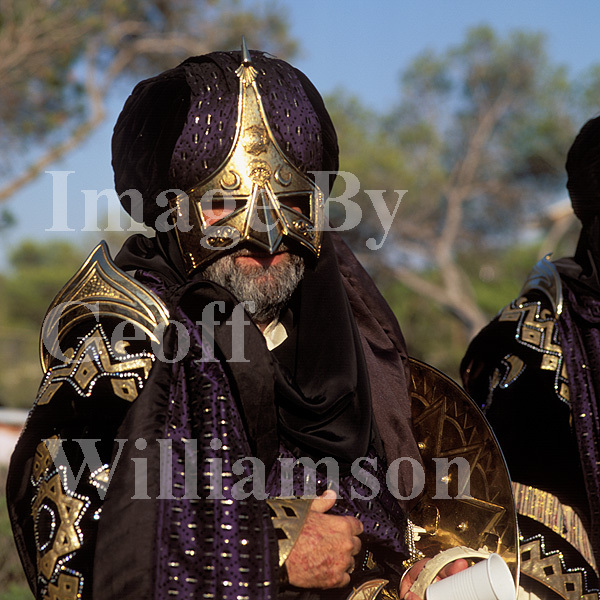 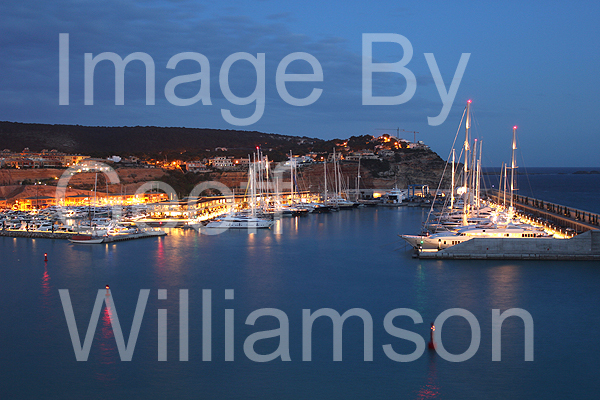 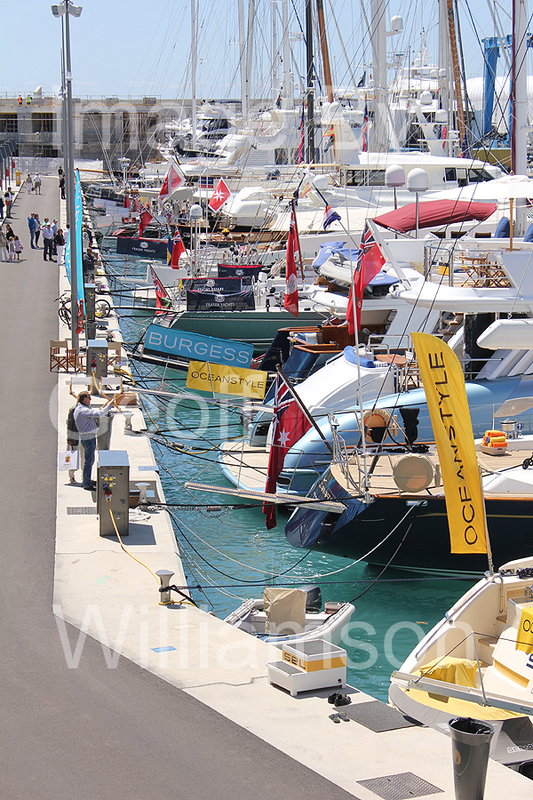 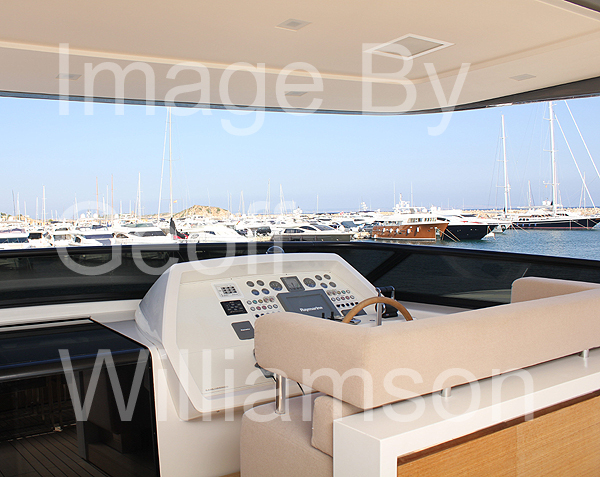 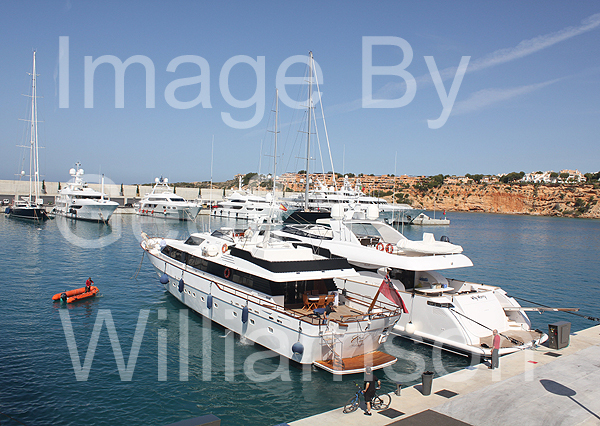 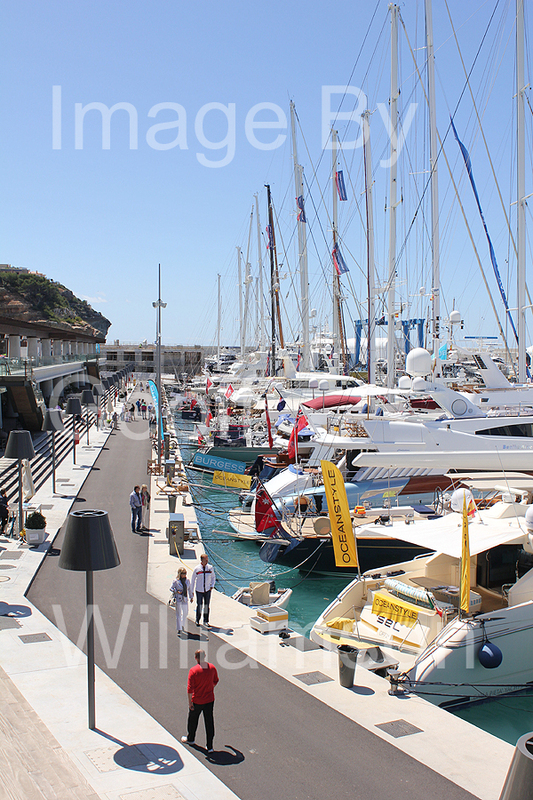 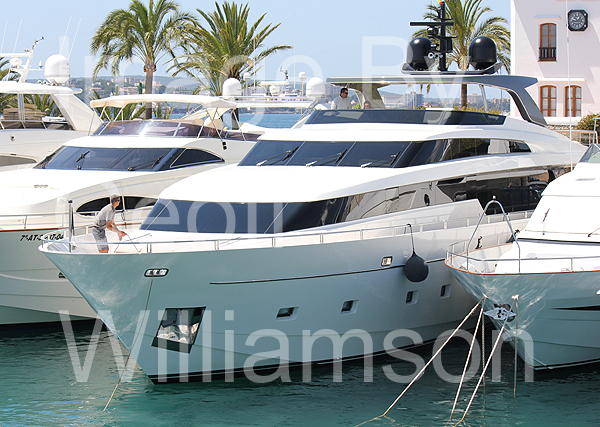 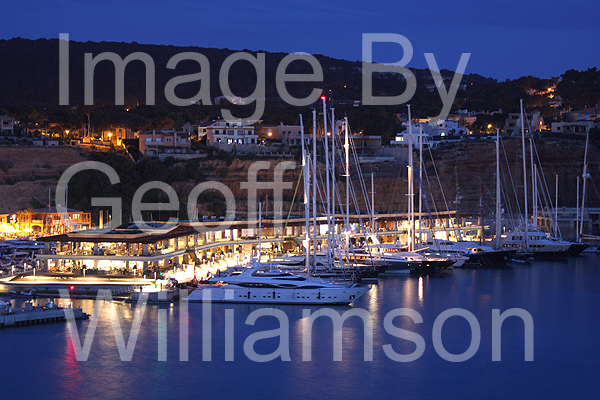 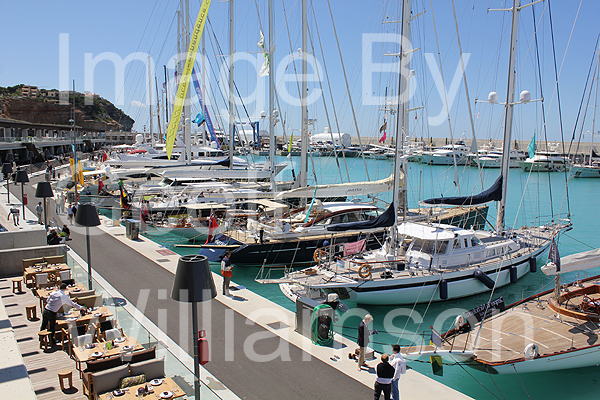 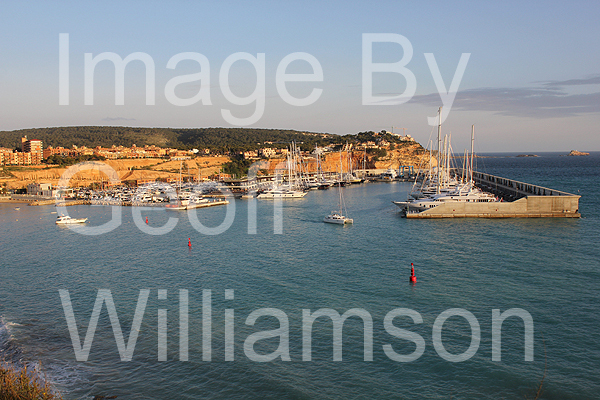 Images from "Mallorca Superyacht Days" at Port Adriano 2012. 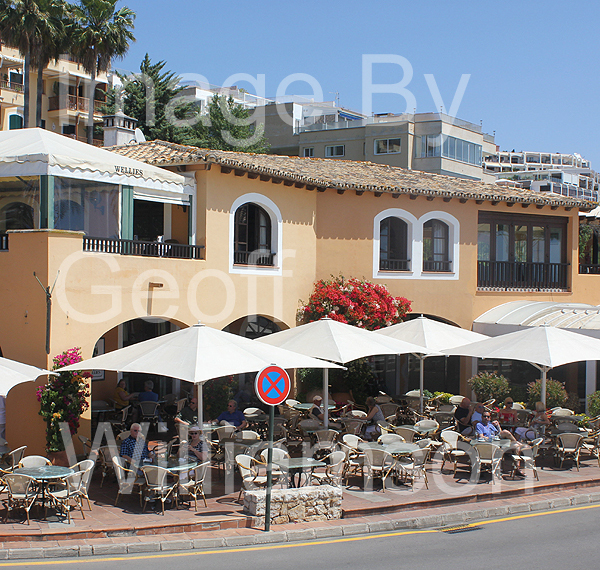 Recently extended to accommodate superyachts and a commercial centre with a wide range of restaurants, boutiques and marine agencies. 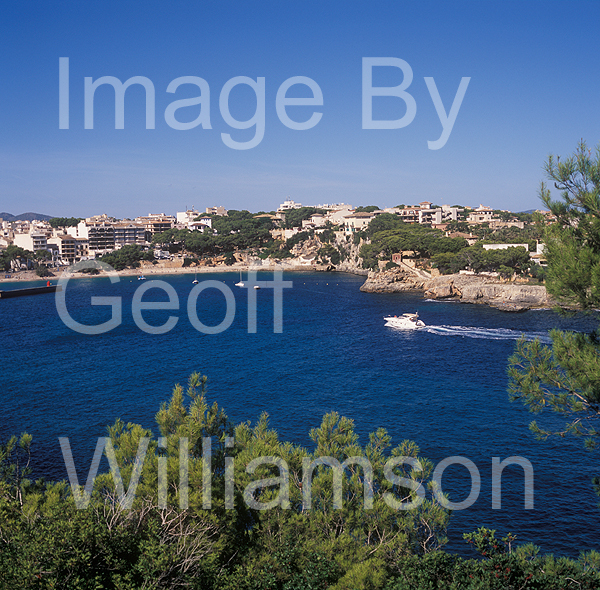 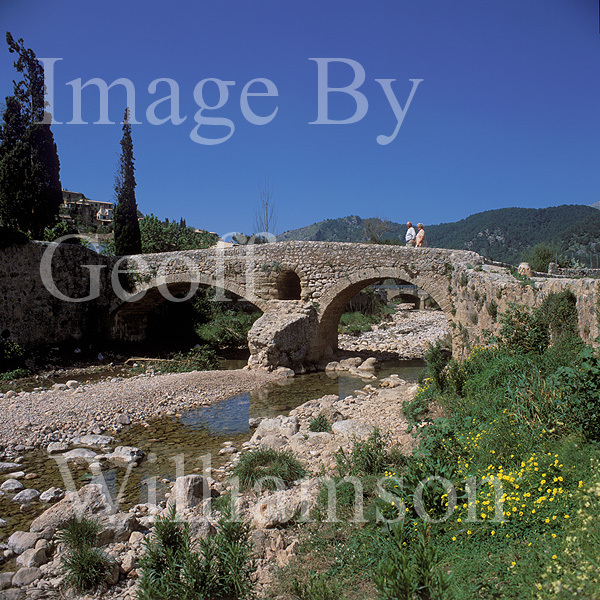 Images in and around Puerto Andratx / Puerto Andraitx. 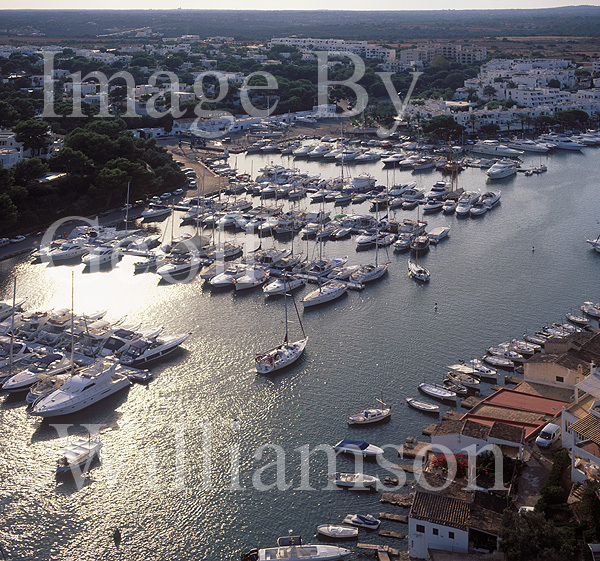 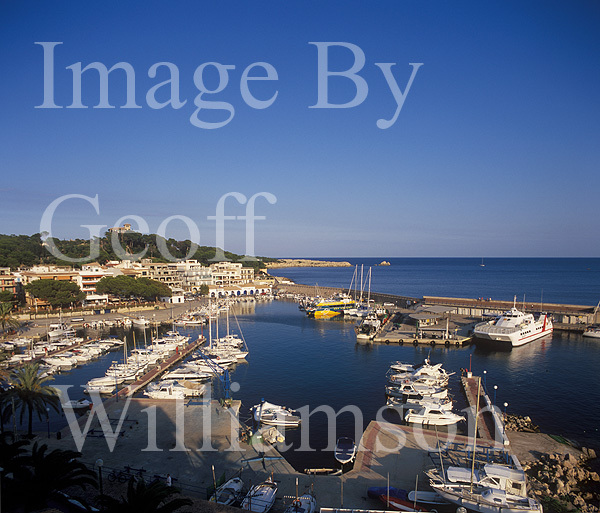 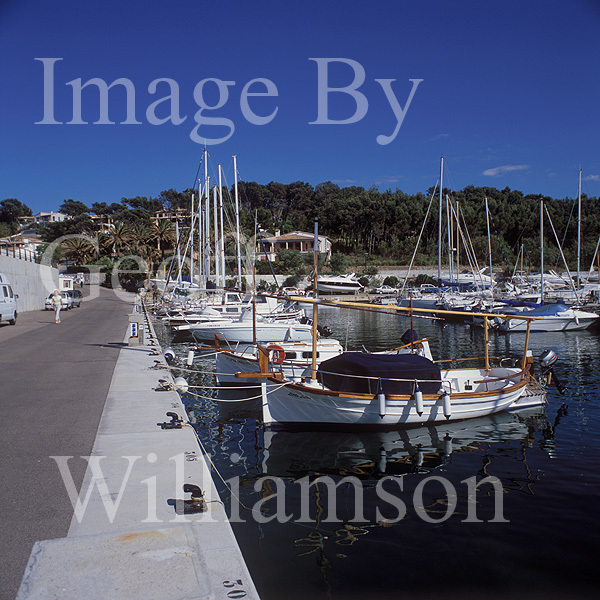 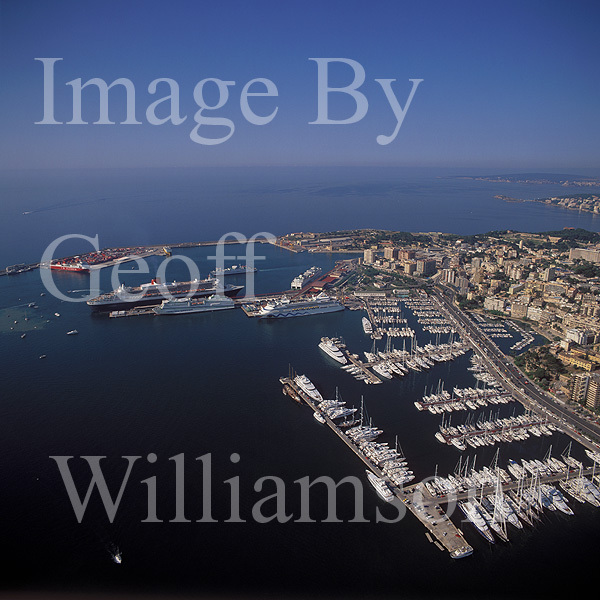 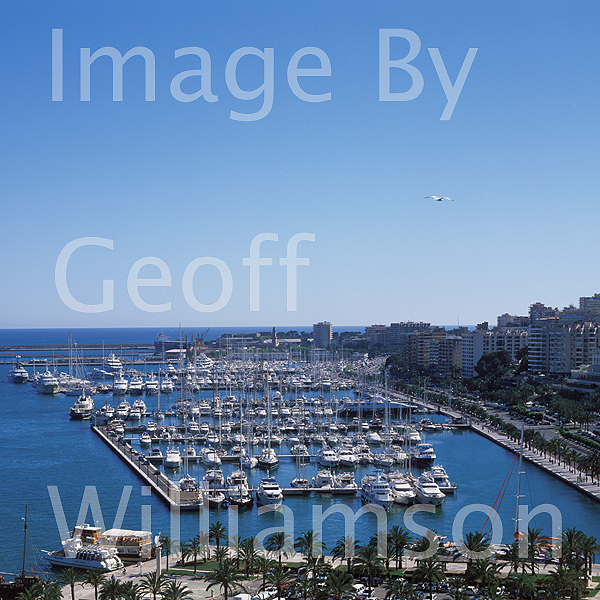 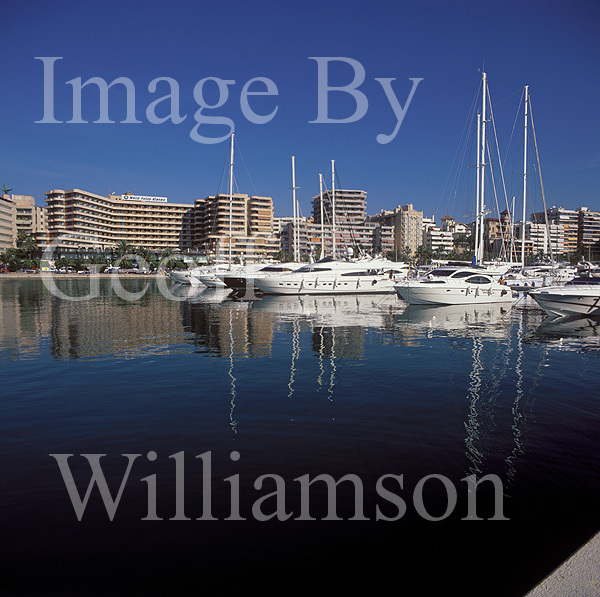 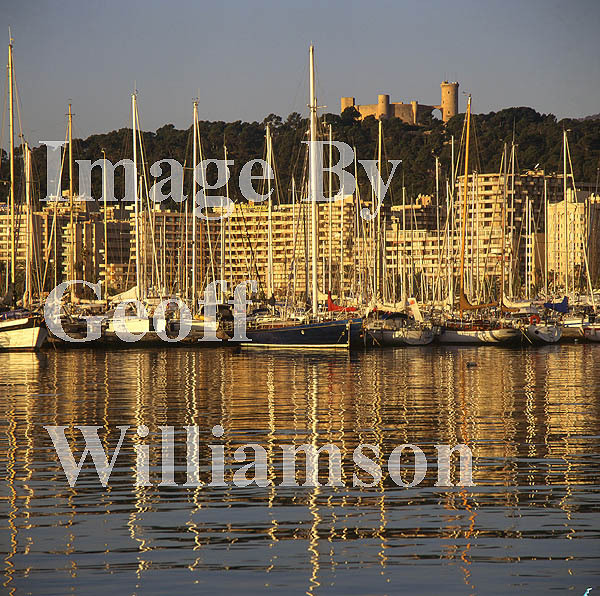 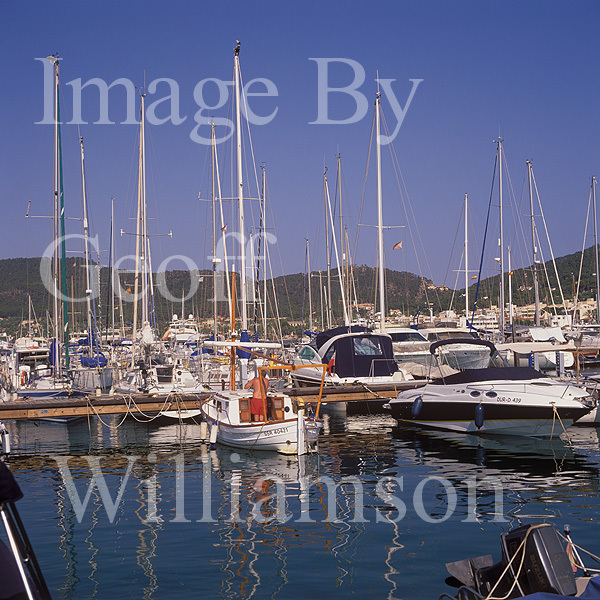 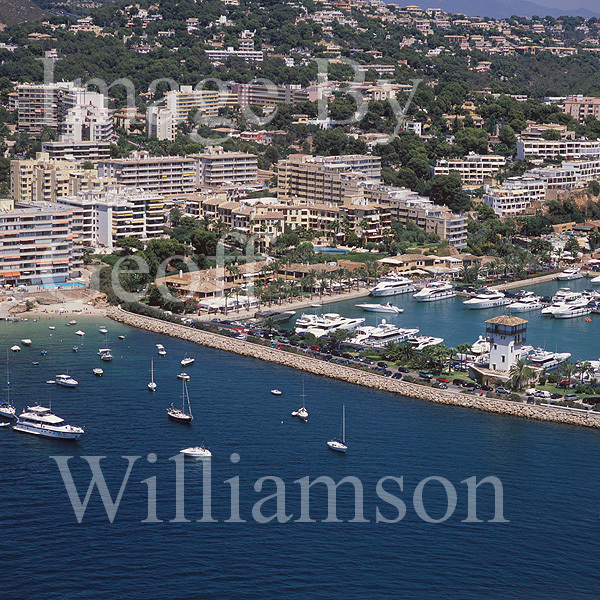 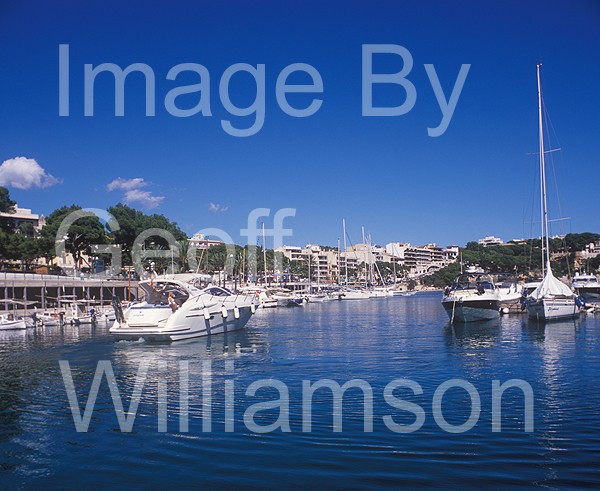 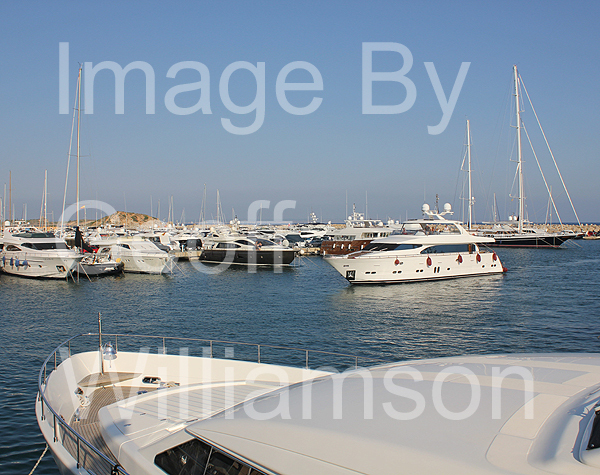 A very popular port and marina in a superb location with many restaurants. 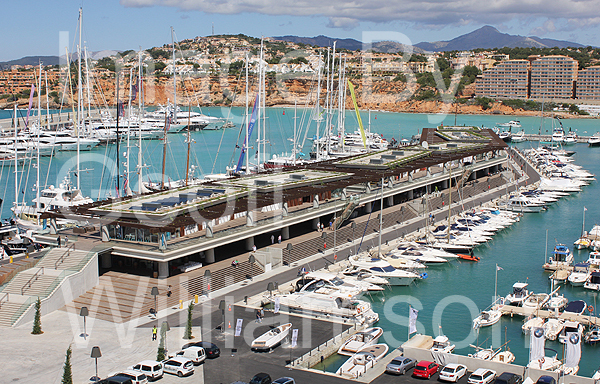 The Club de Vela marina provides extensive marine facilities. 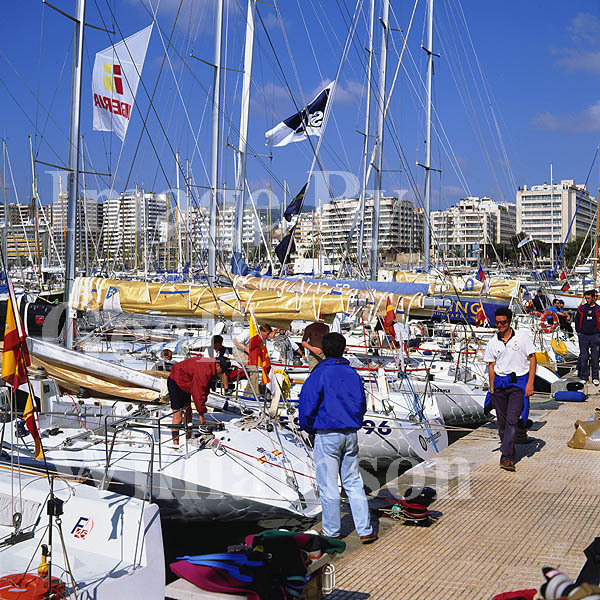 El Club de Vela Puerto de Andratx. 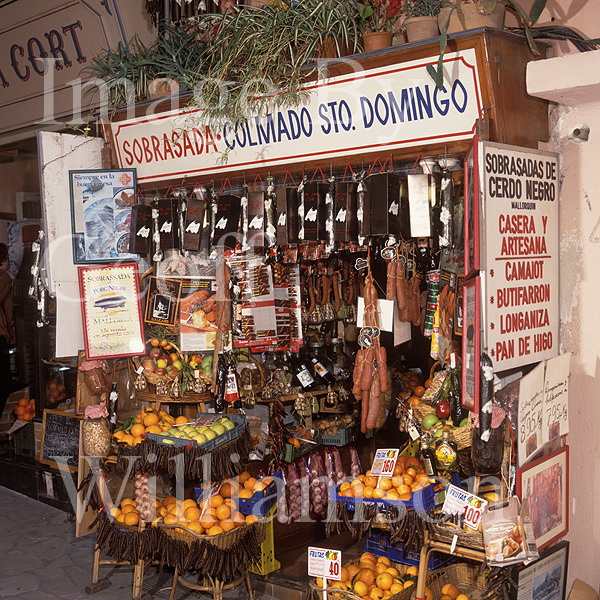 Dirección Oficina del Servicio de Puertos.